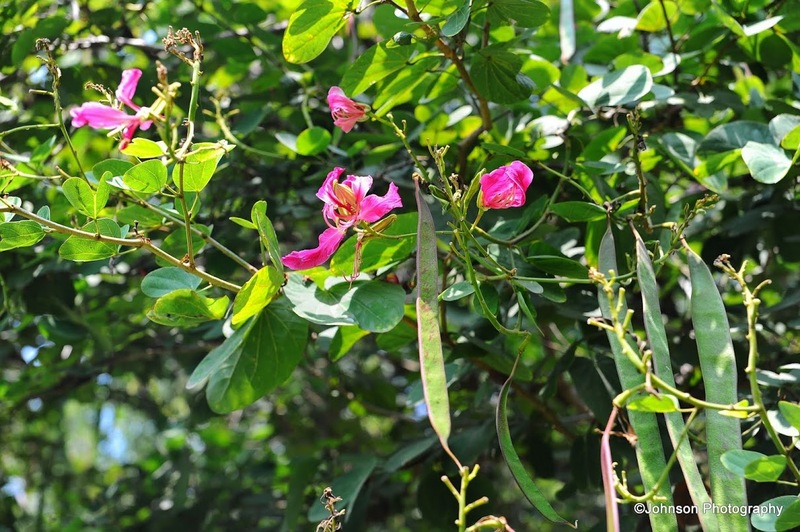 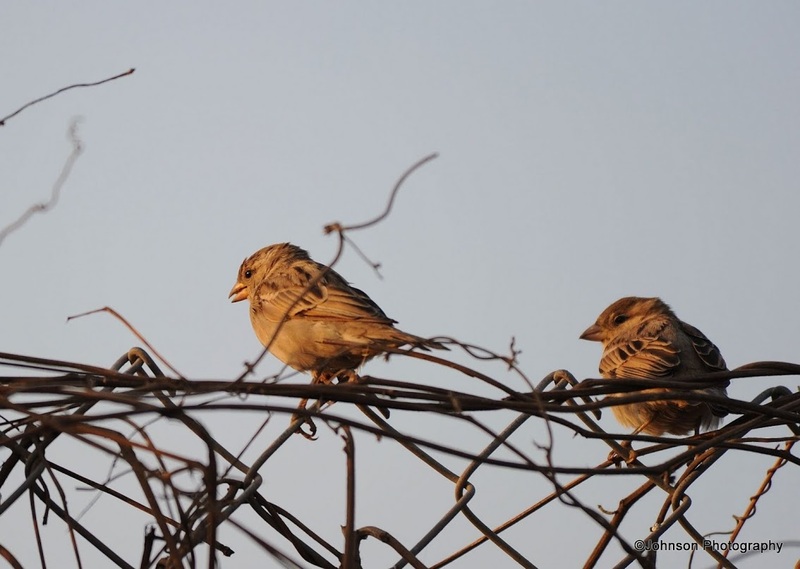 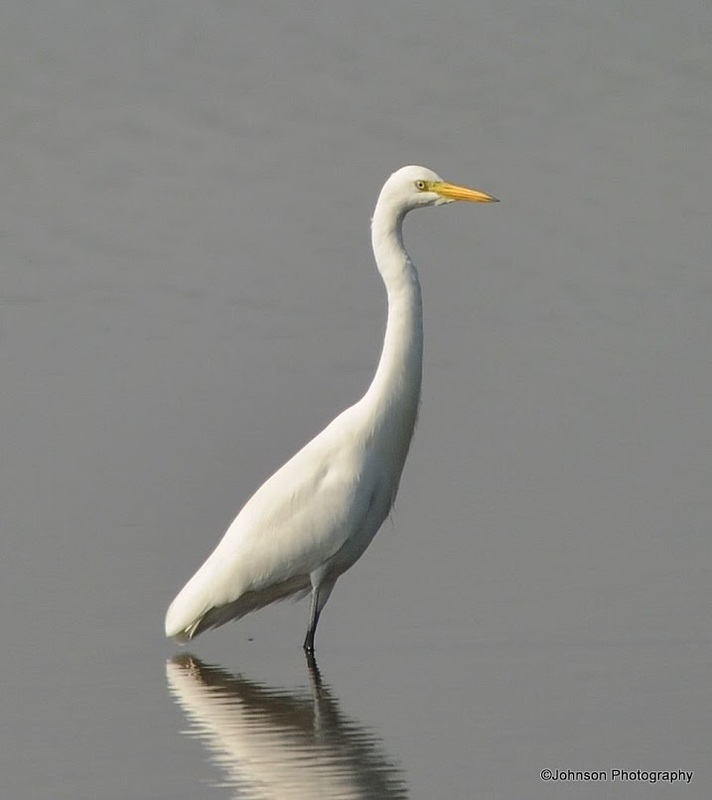 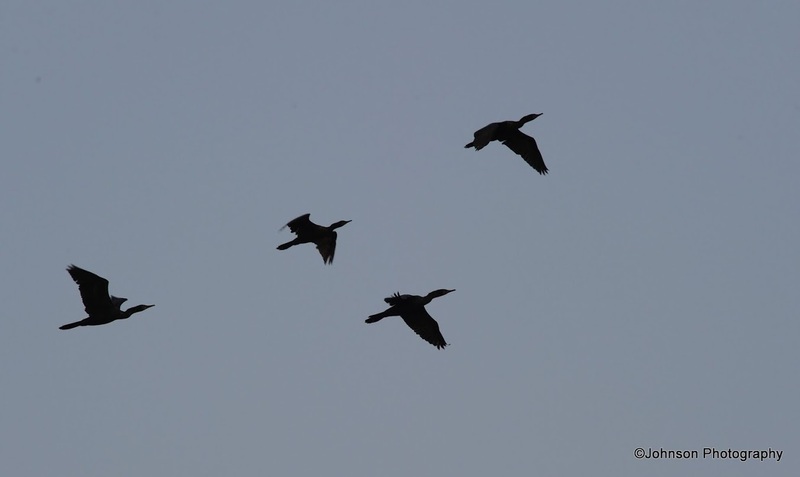 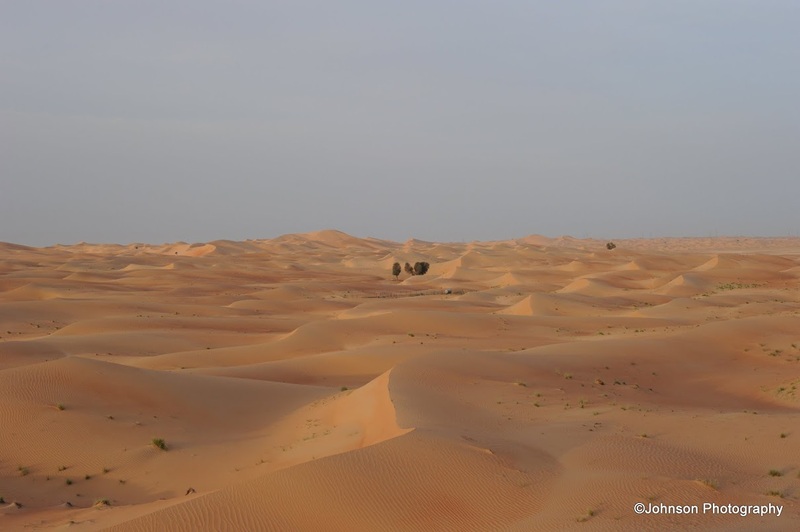 My dear blogger friends, it has been a wonderful year with your support and encouragement. 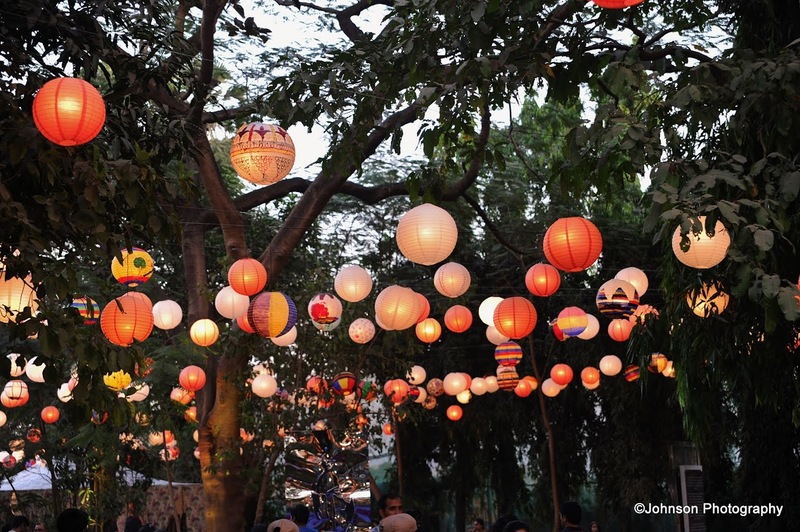 As the New Year approaches us with new hopes and aspirations, I would like to wish you and your families a happy and fruitful year ahead. 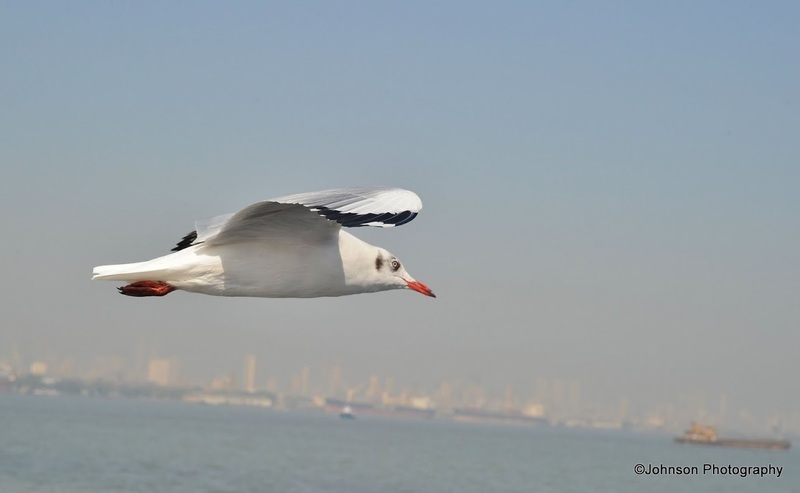 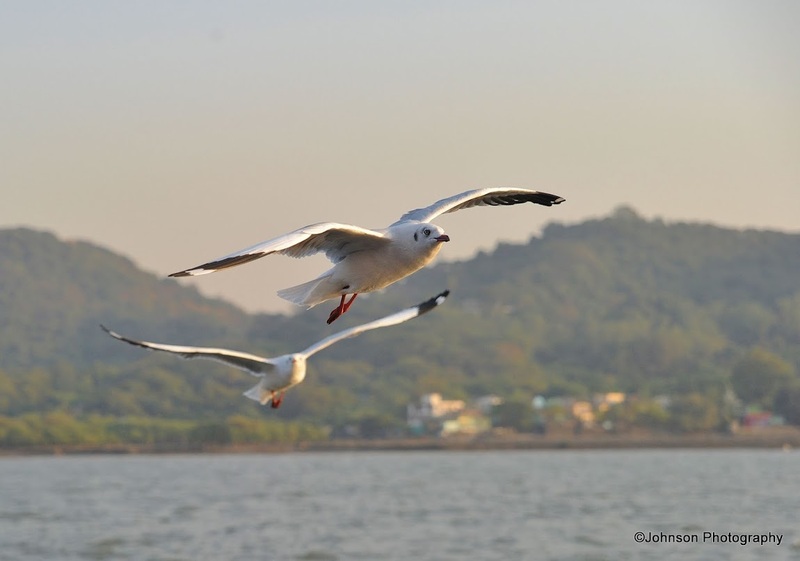 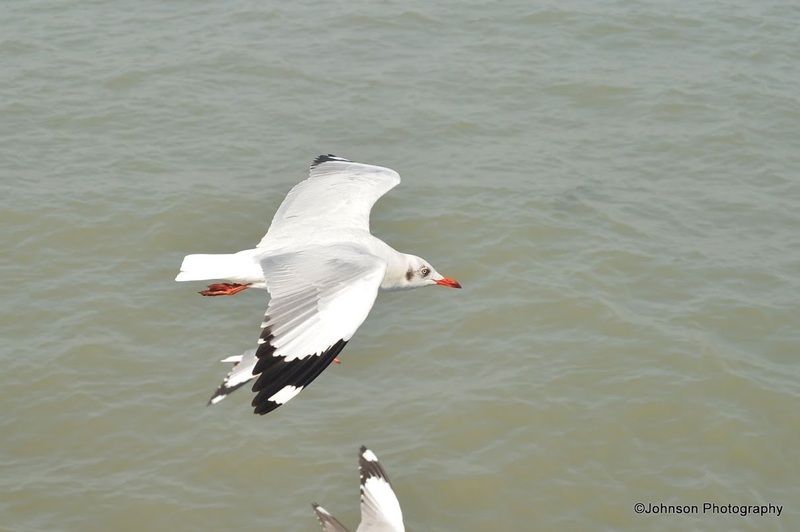 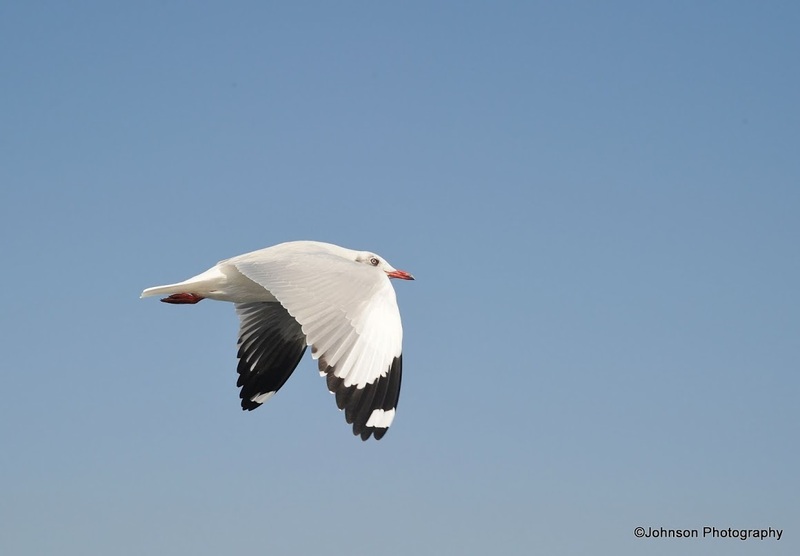 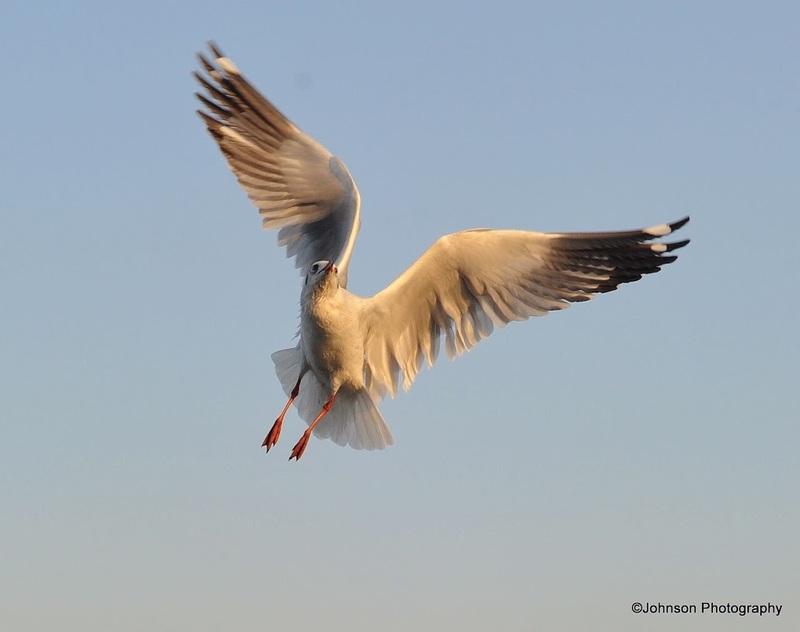 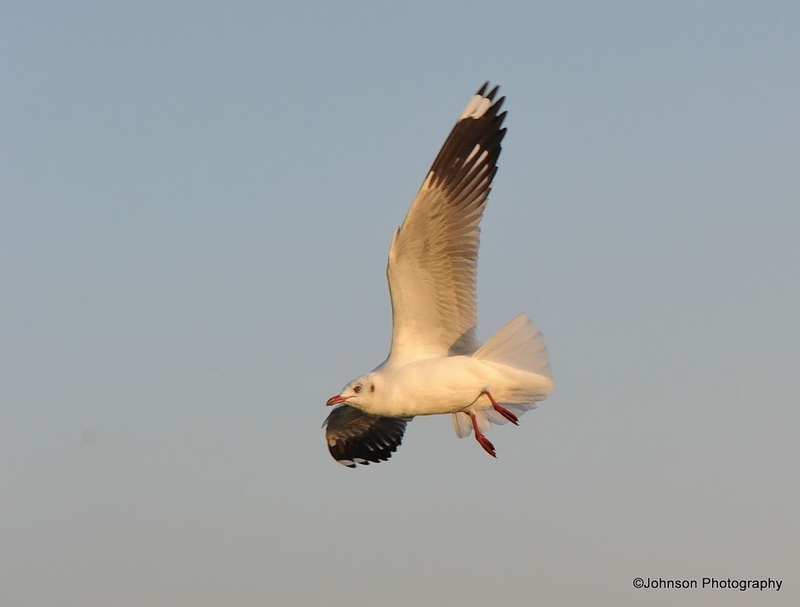 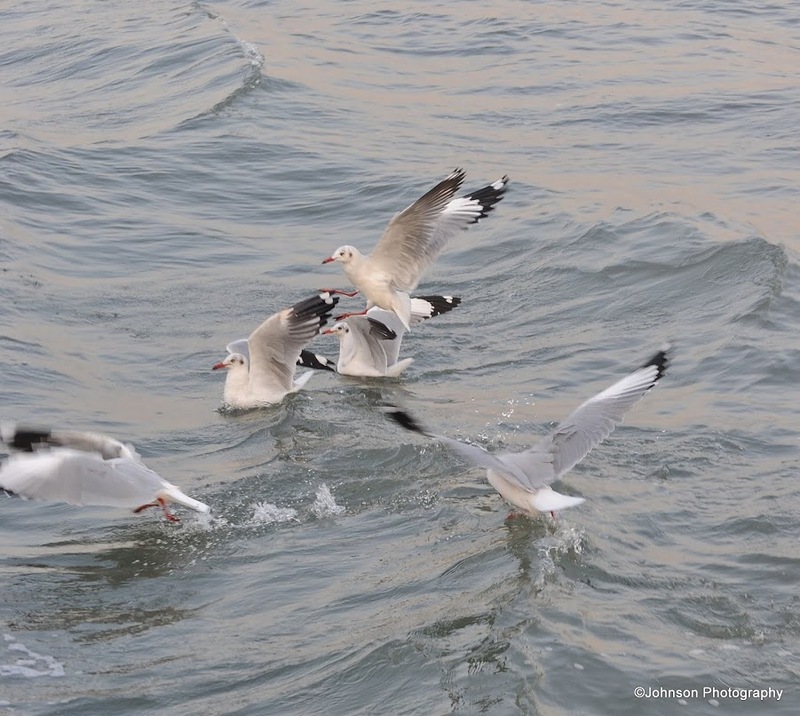 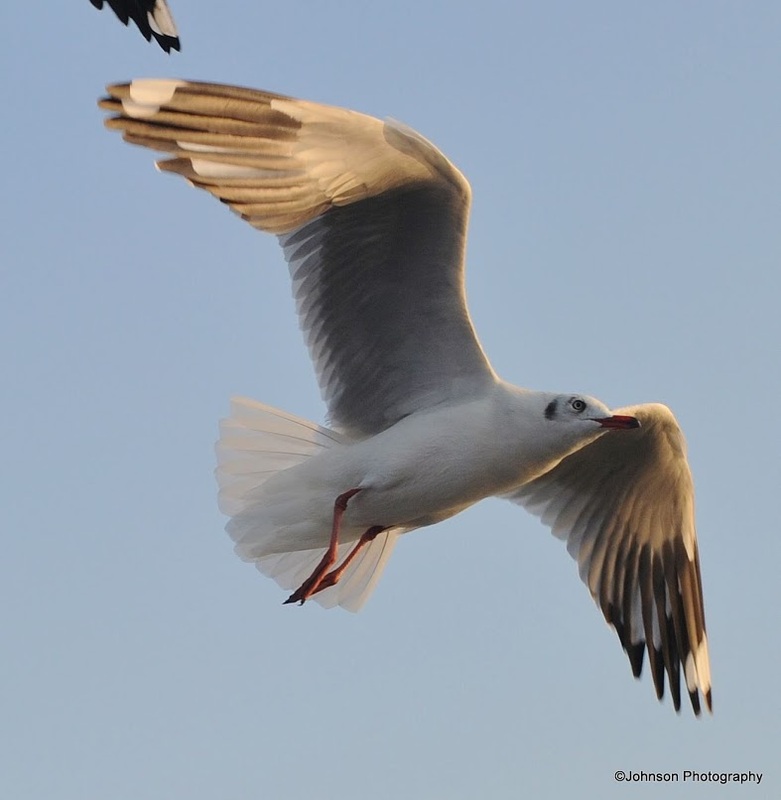 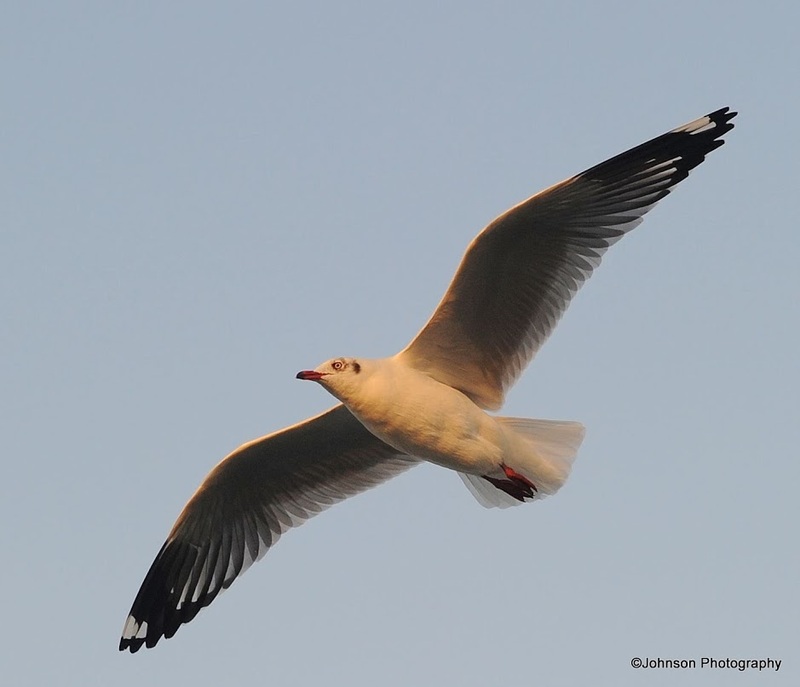 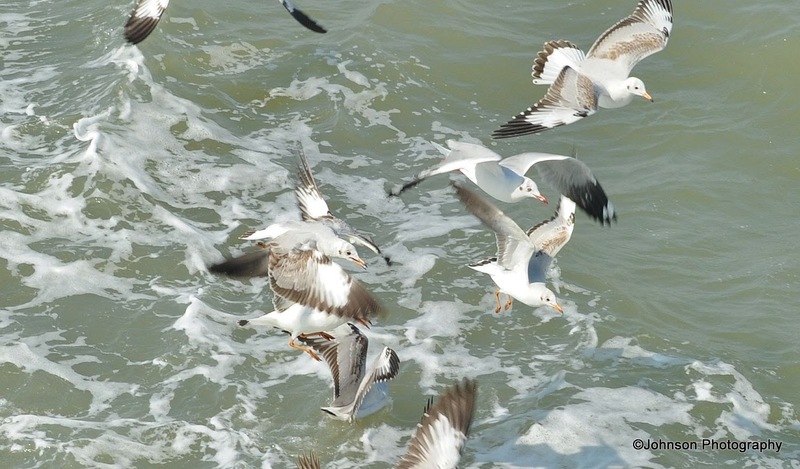 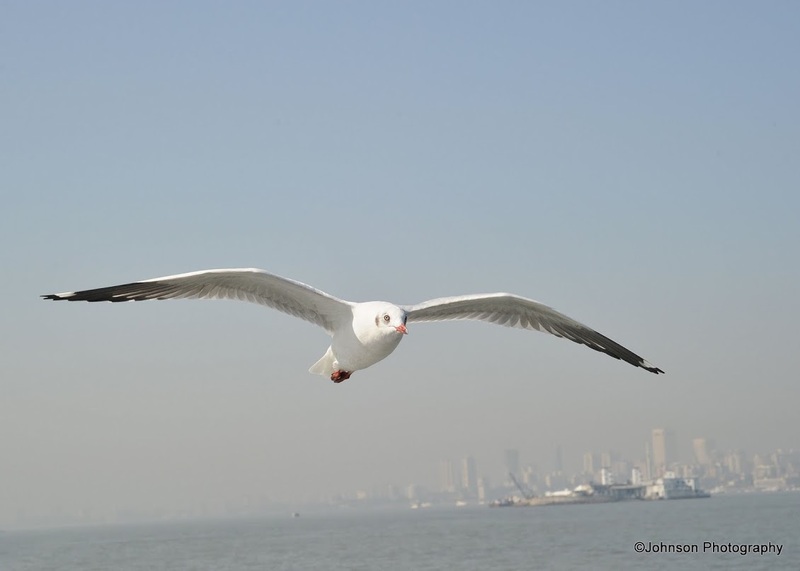 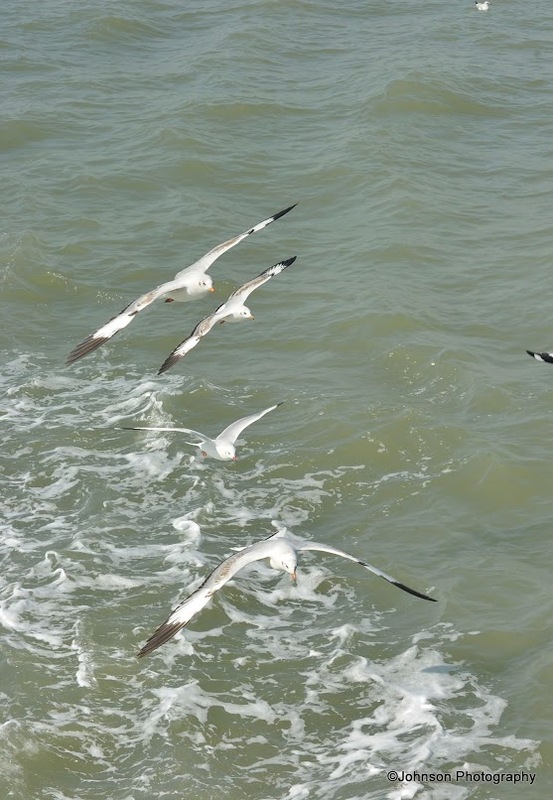 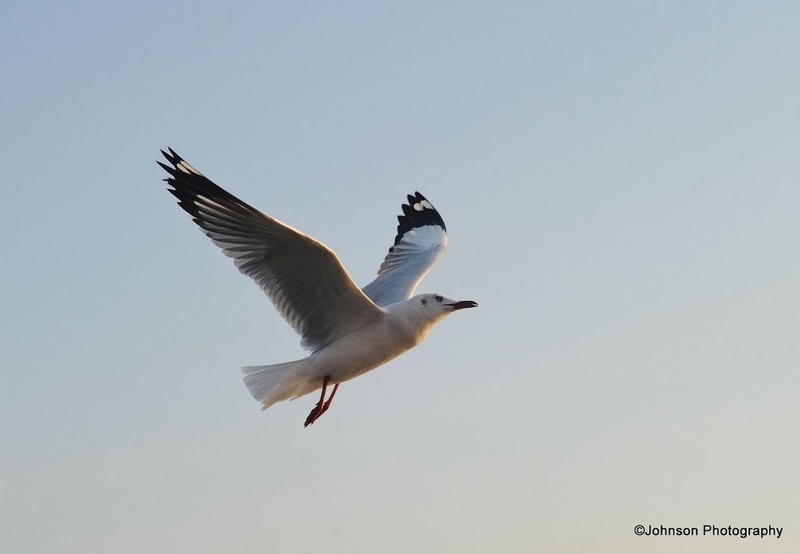 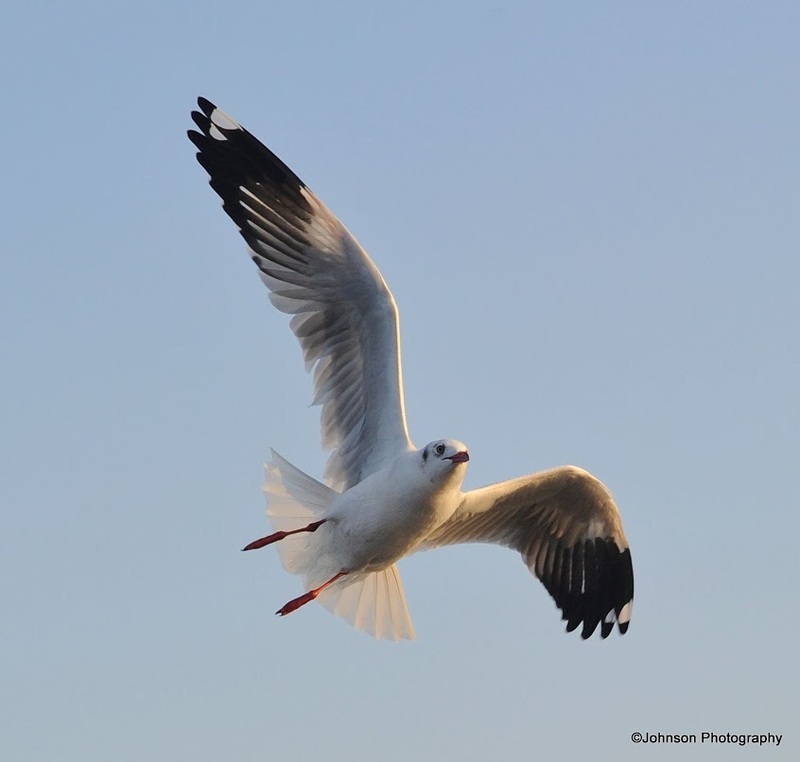 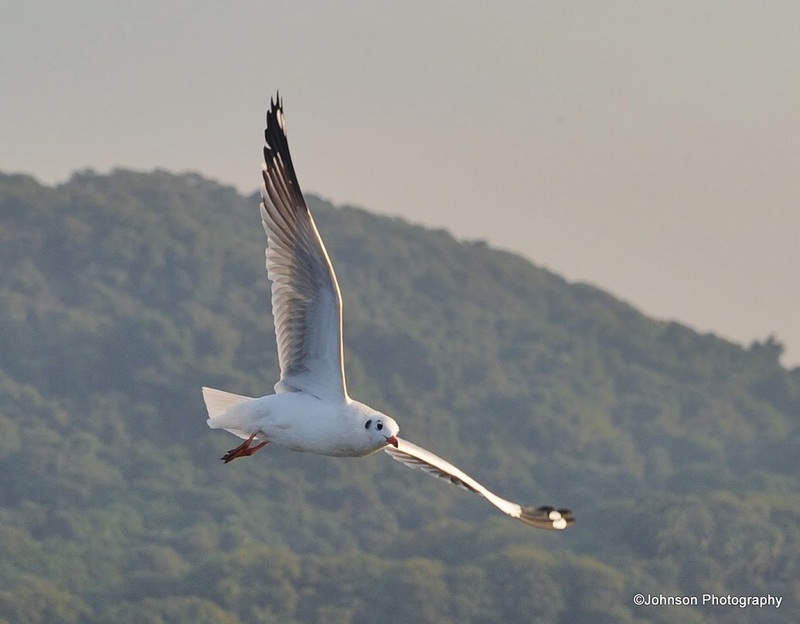 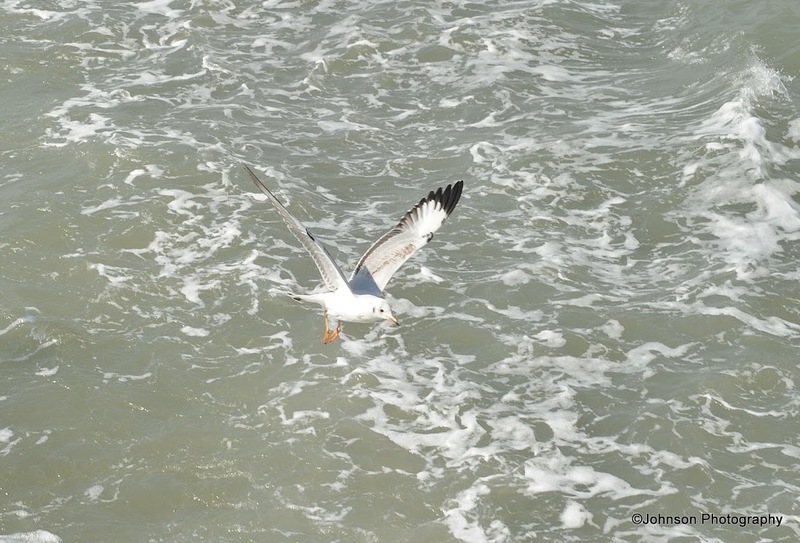 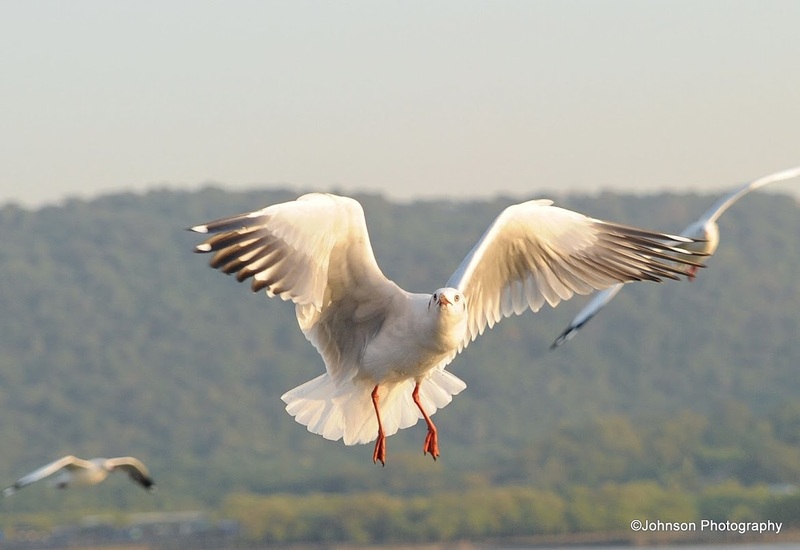 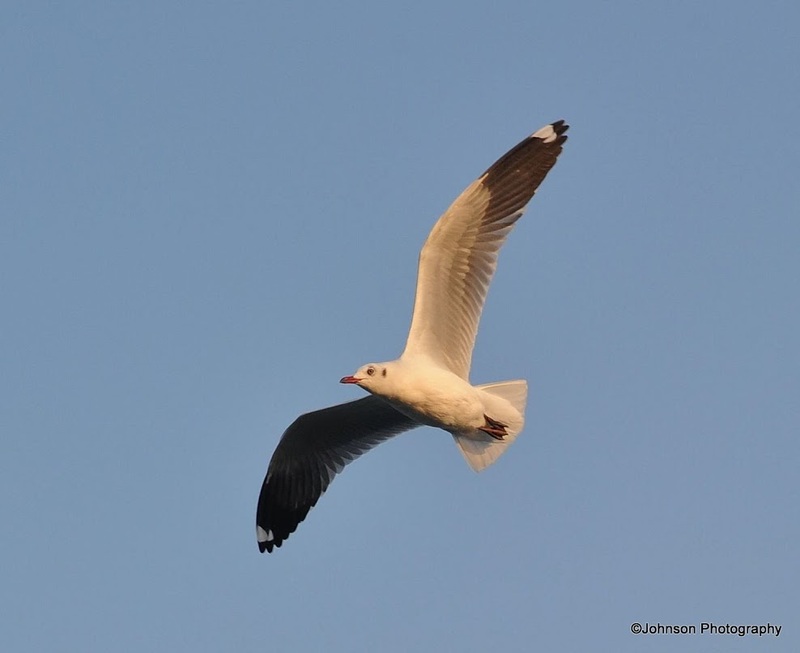 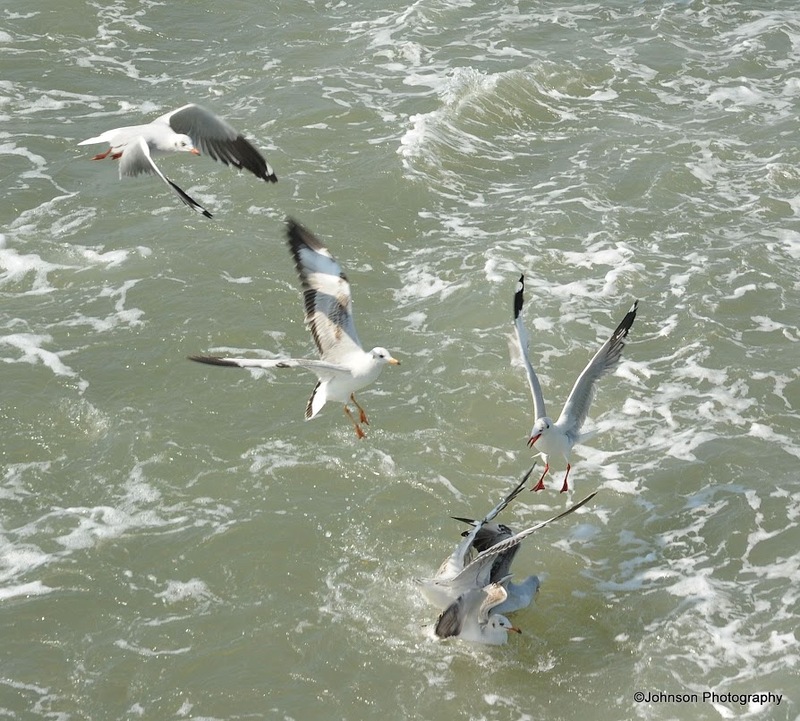 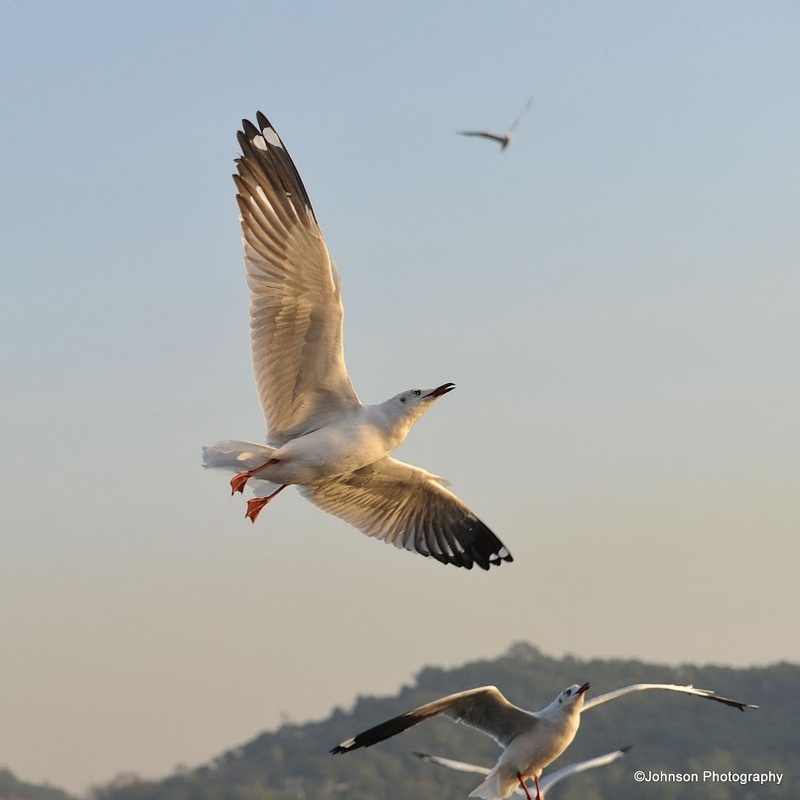 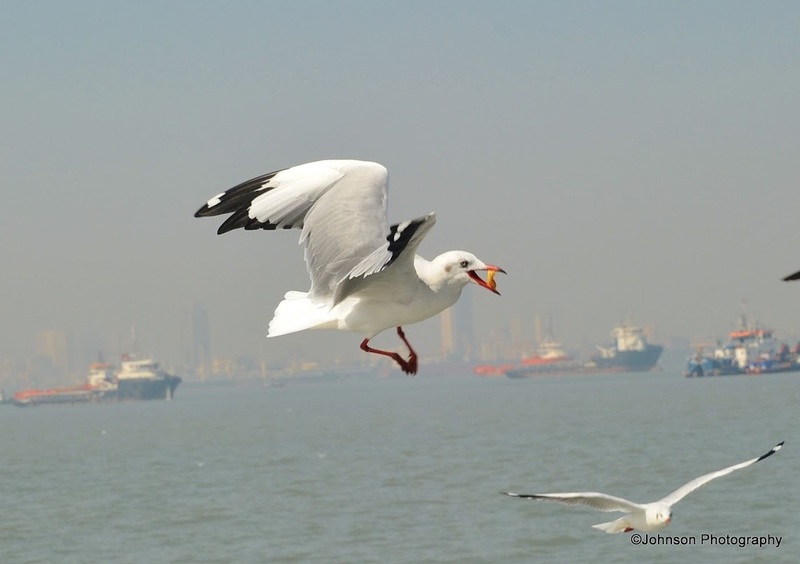 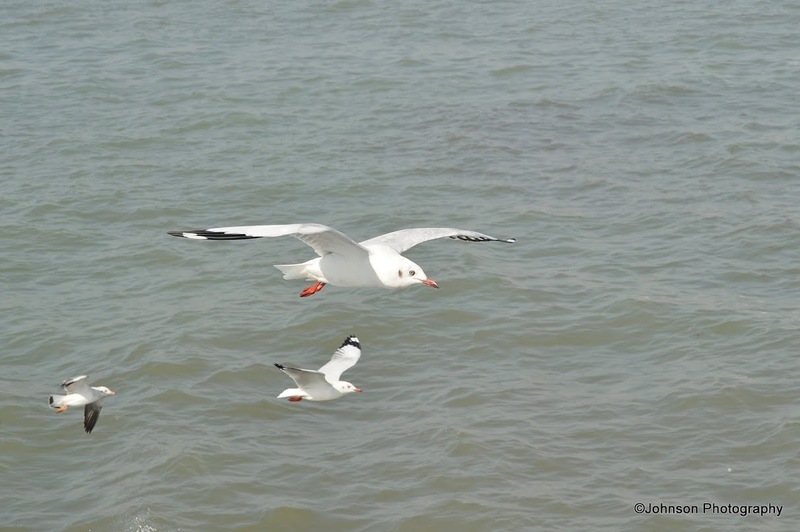 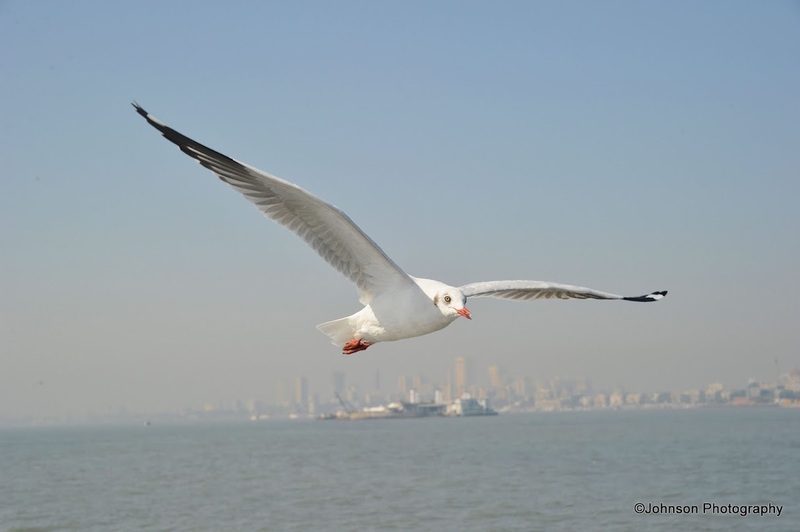 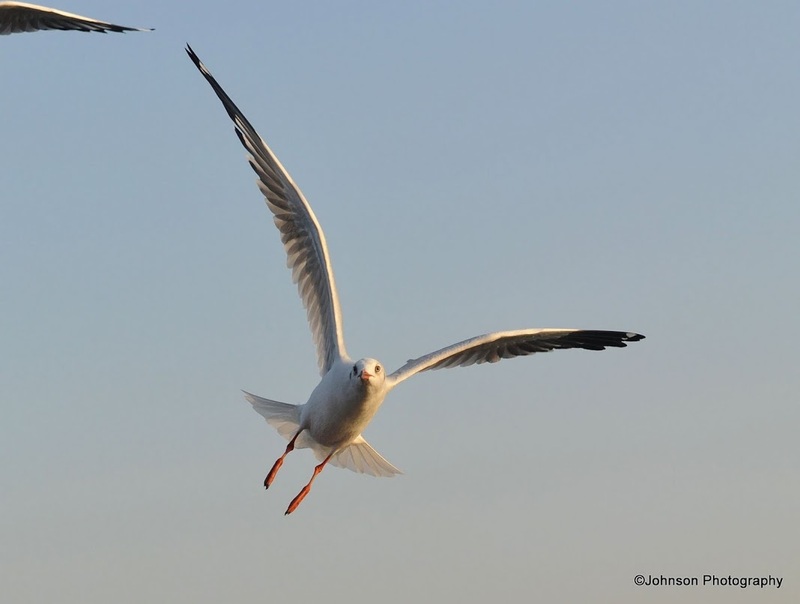 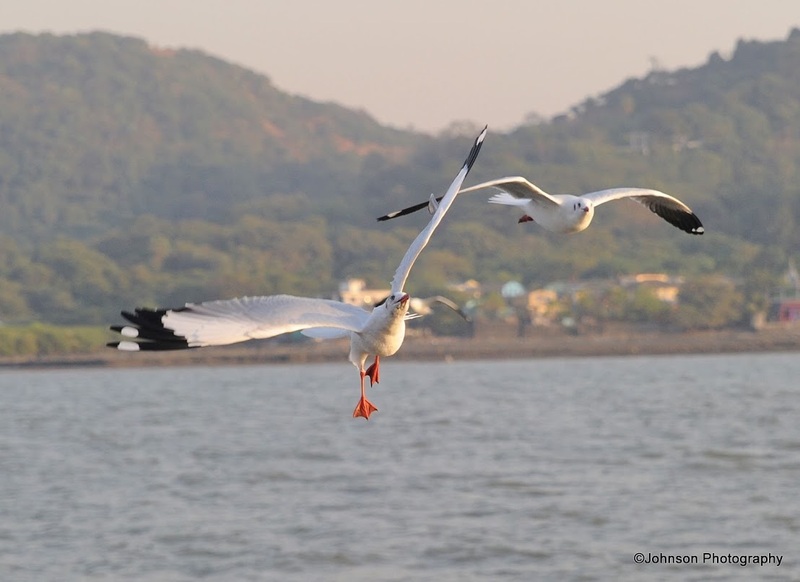 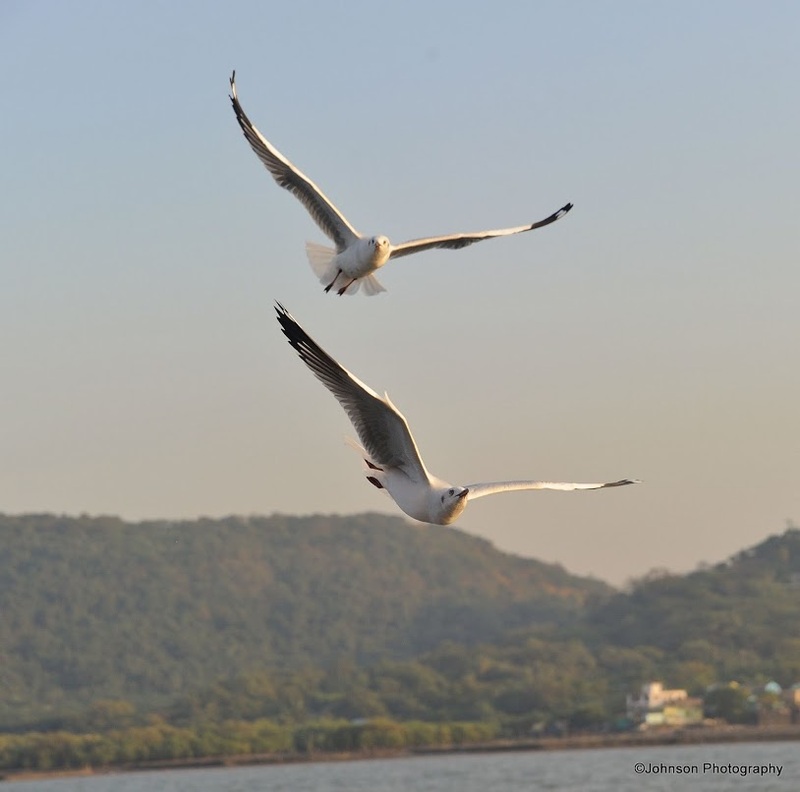 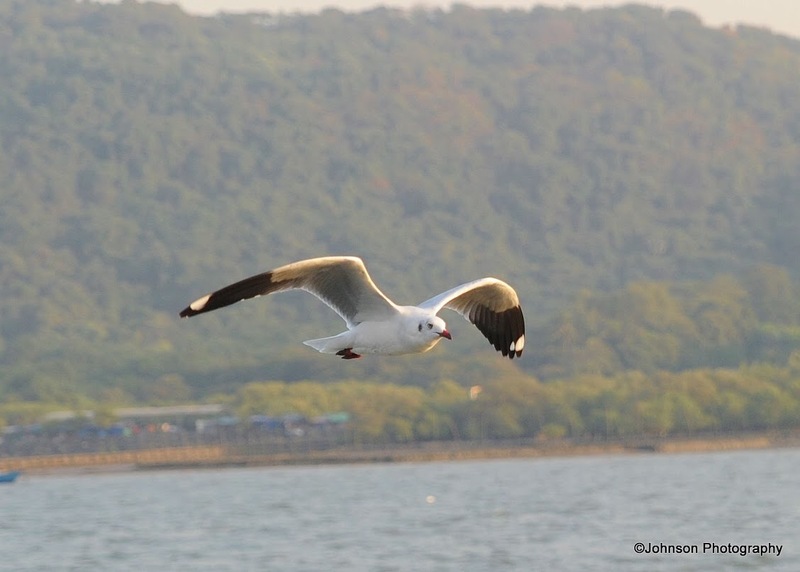 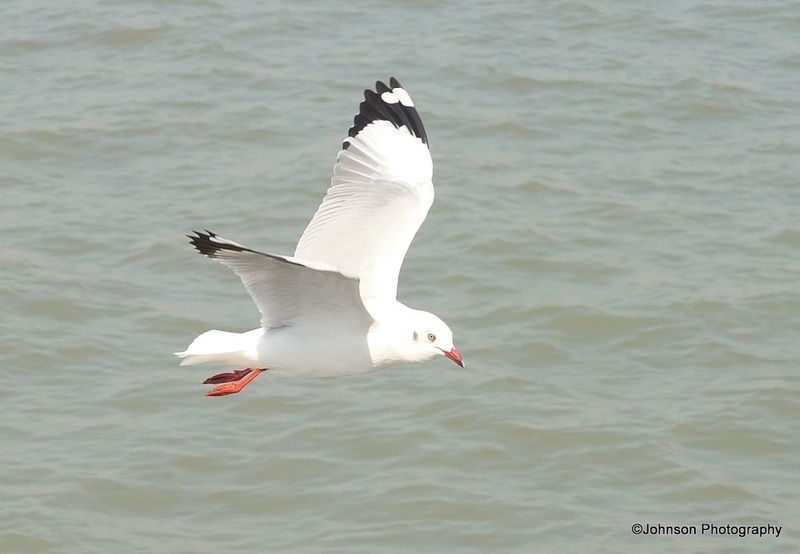 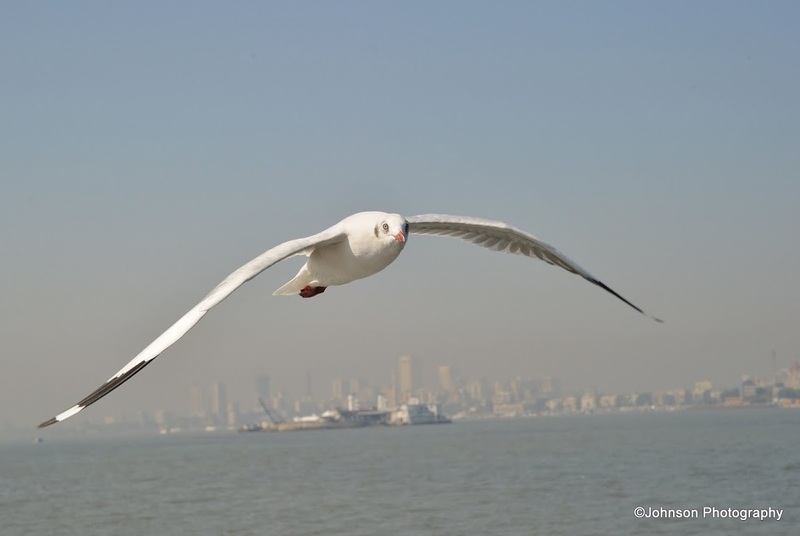 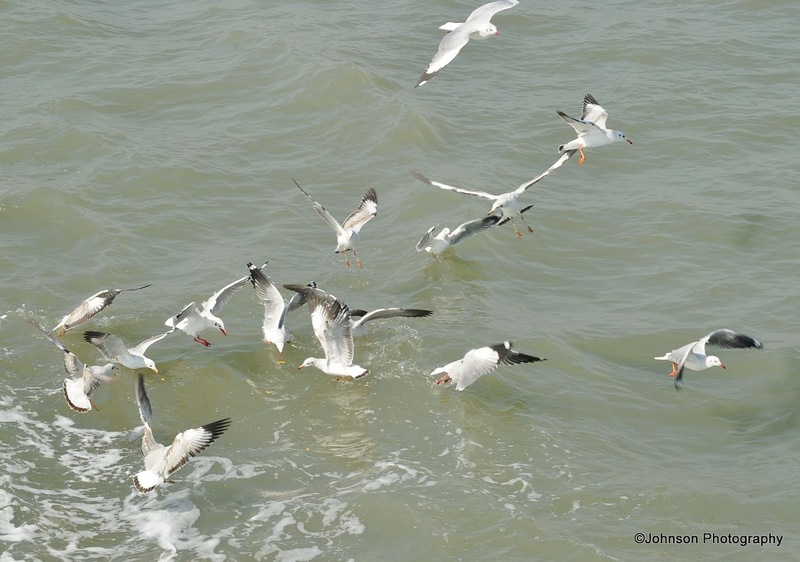 Brown headed gulls, photographed from the Mumbai cost near Gateway of India. 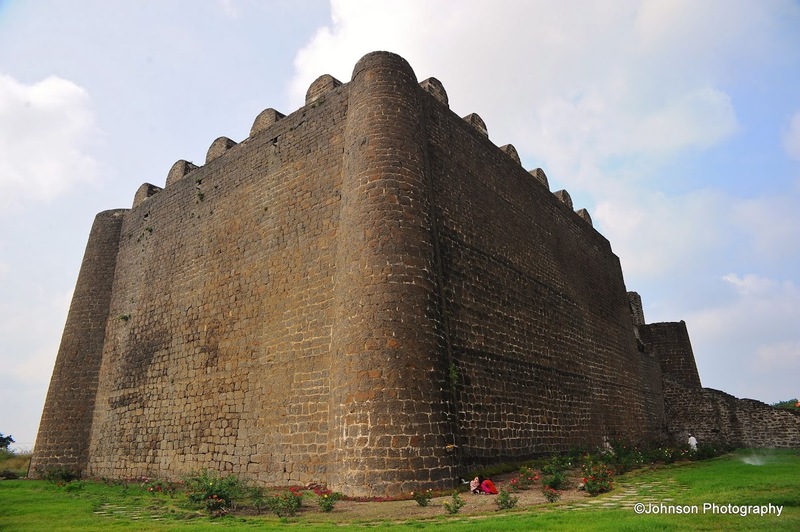 Gulbarga fort is located not far from the Gulbarga city center in the Gulbarga district of the Indian state of Karnataka. 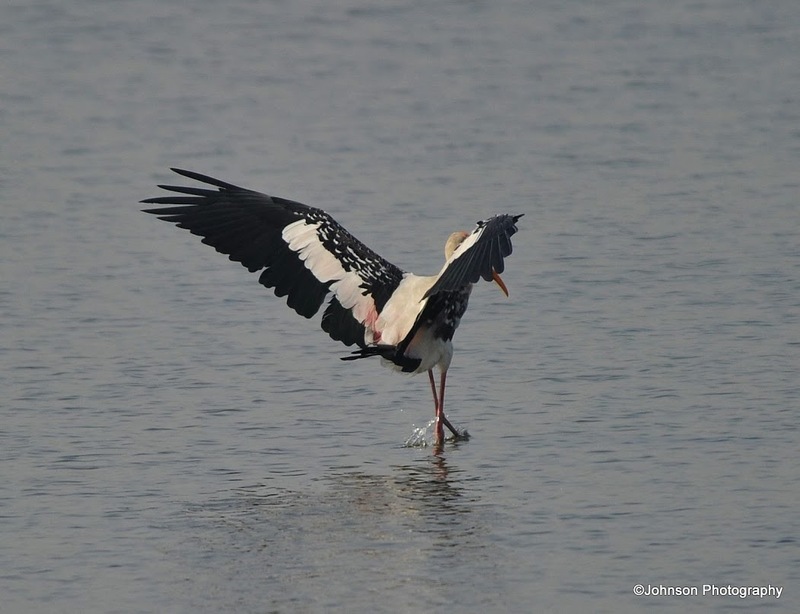 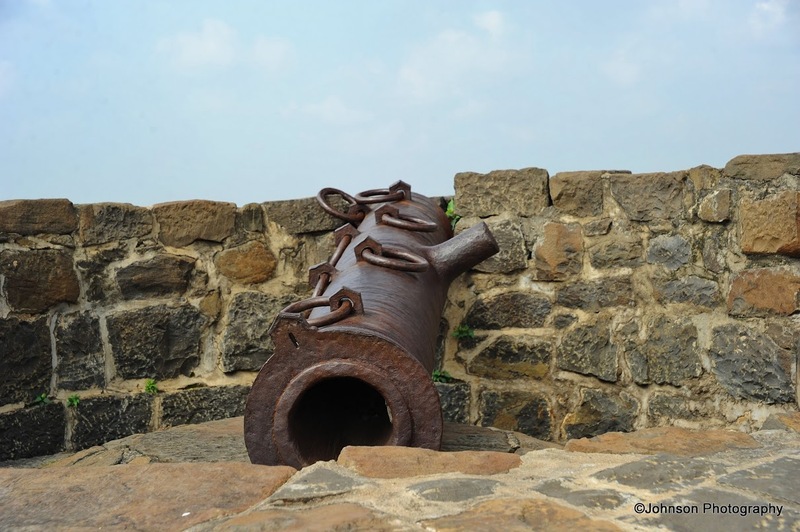 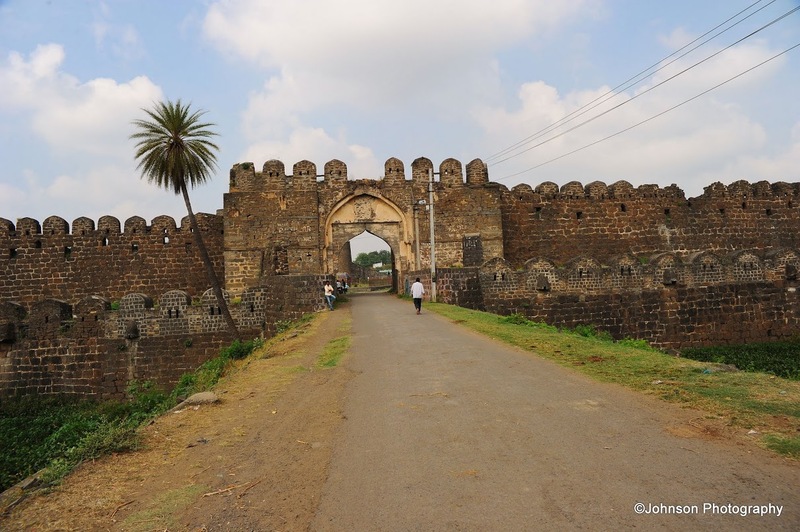 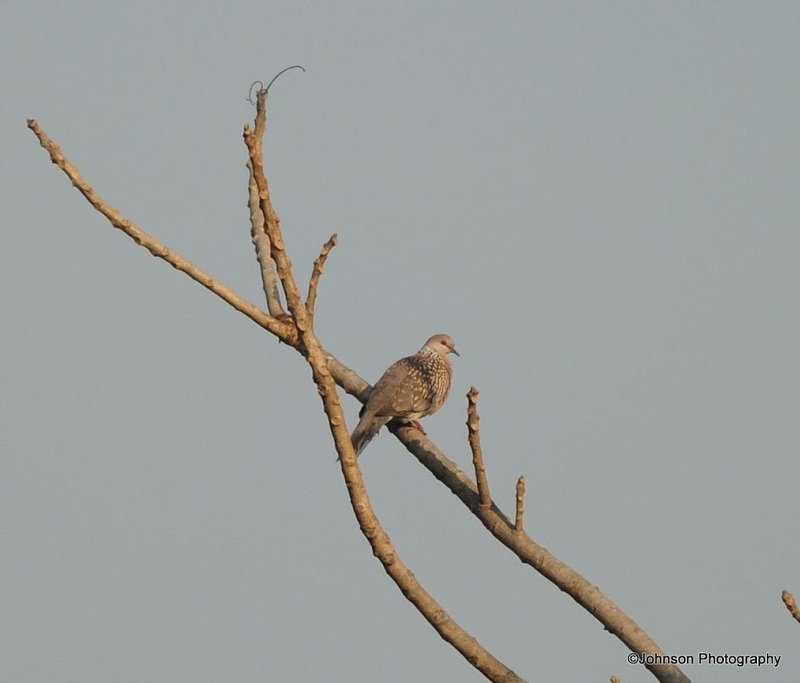 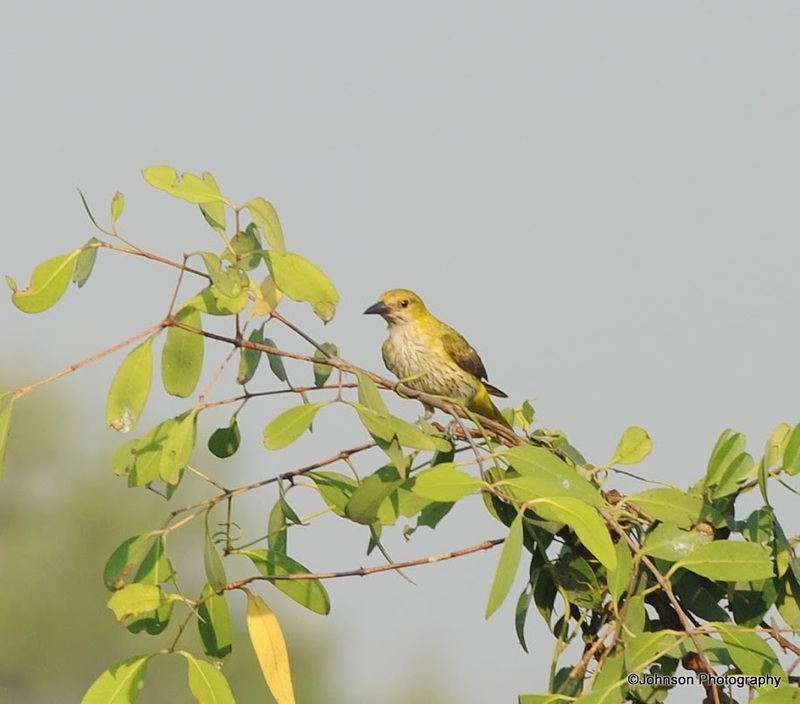 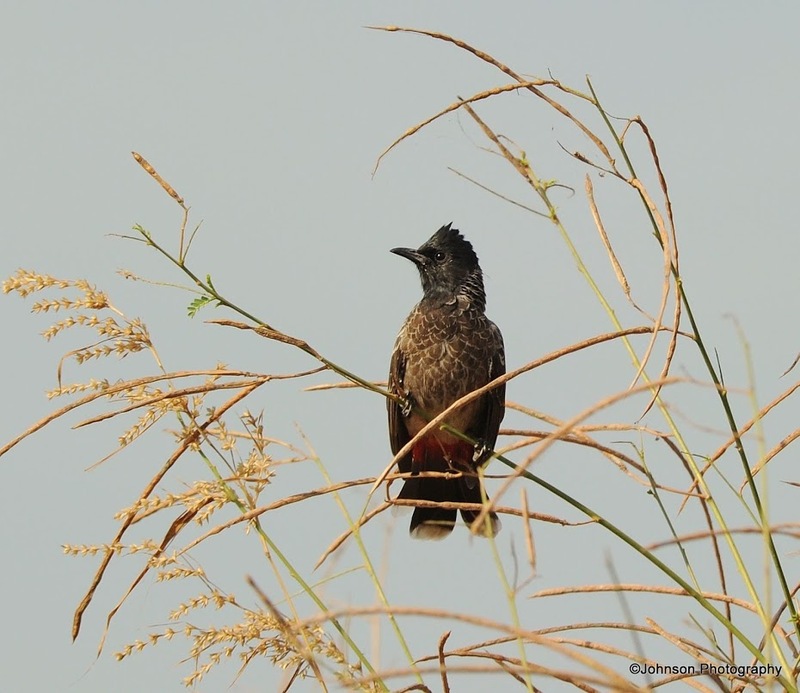 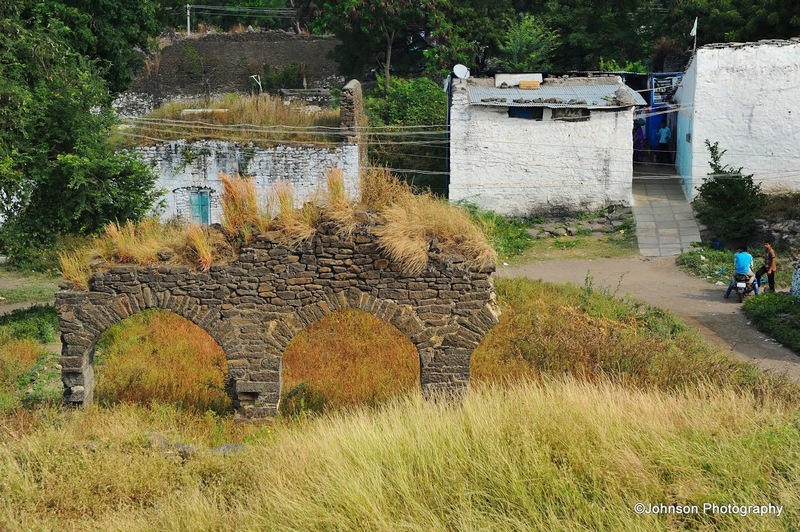 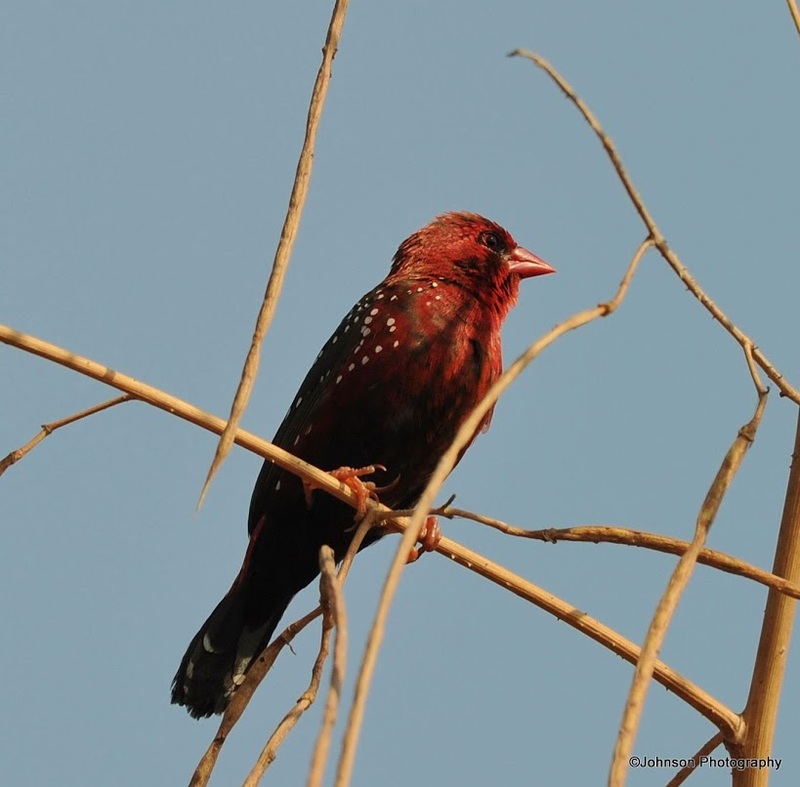 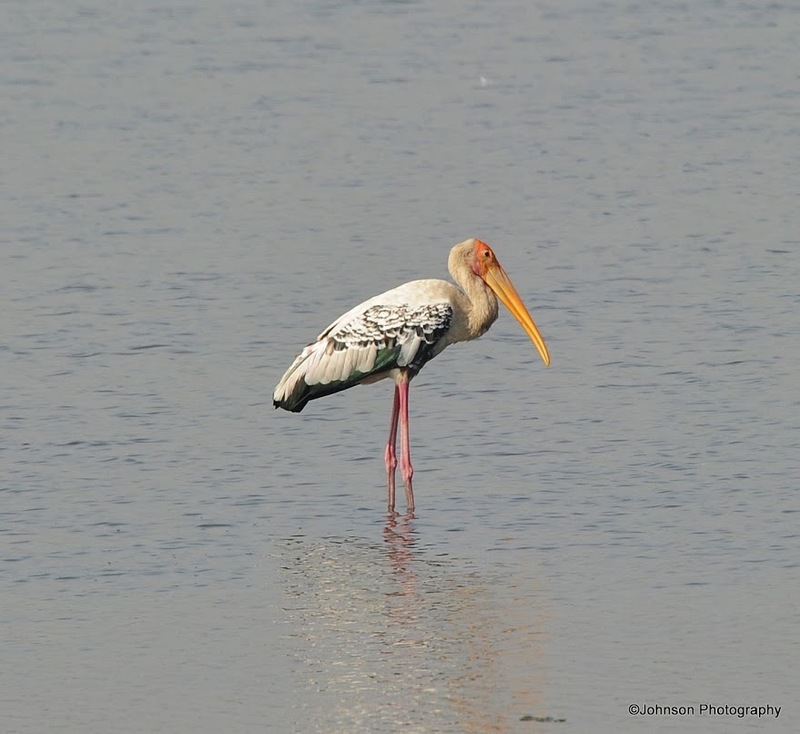 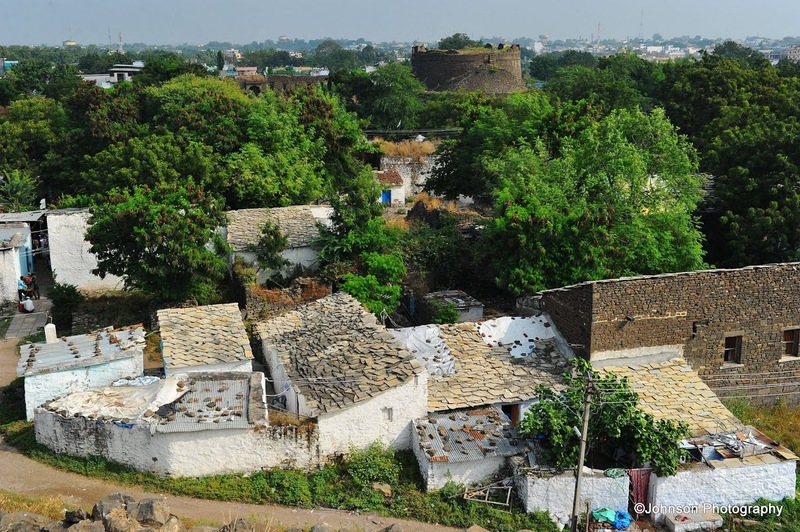 The fort was originally built by Raja Gulchand, a feudatory of the Kakatiyas of Warangal. 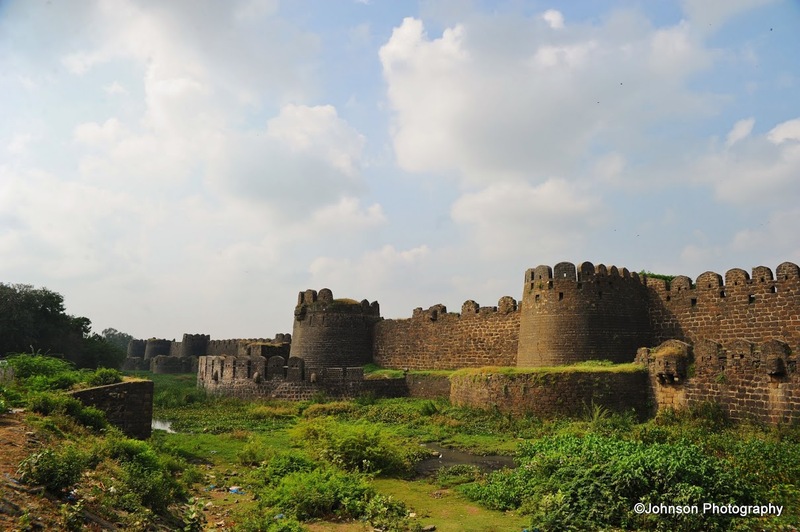 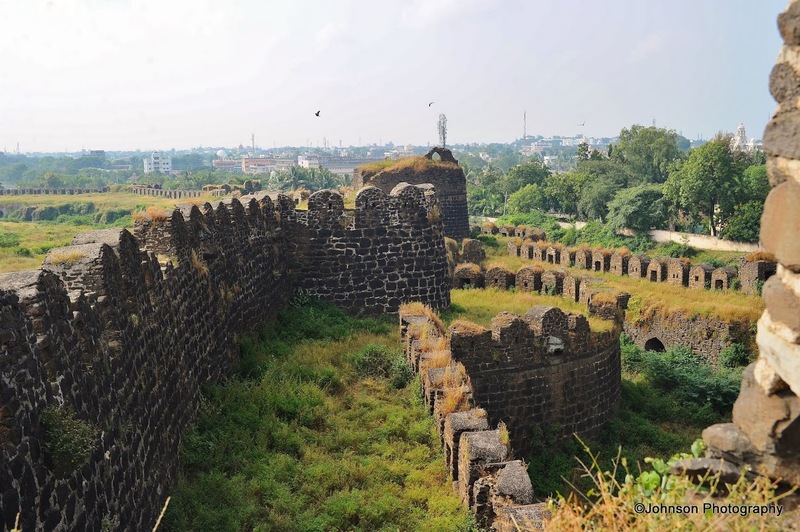 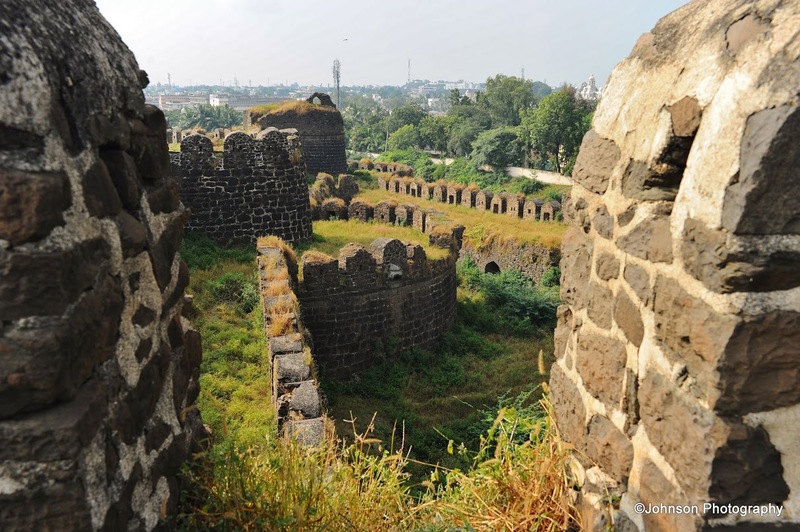 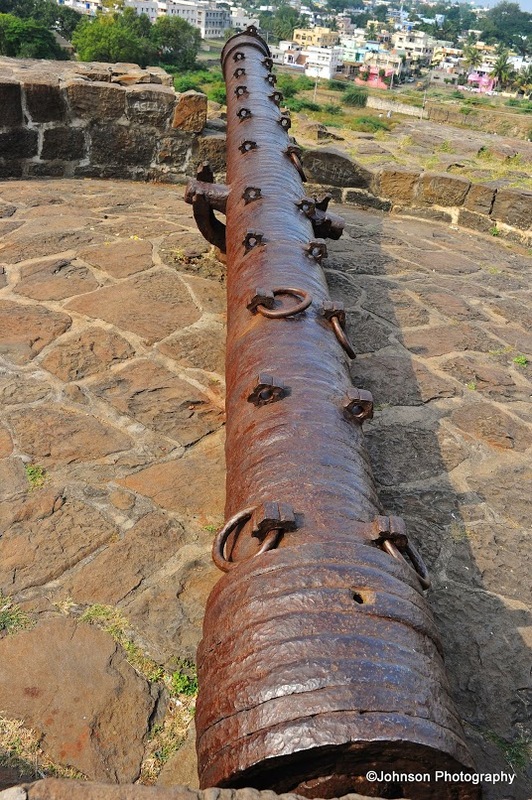 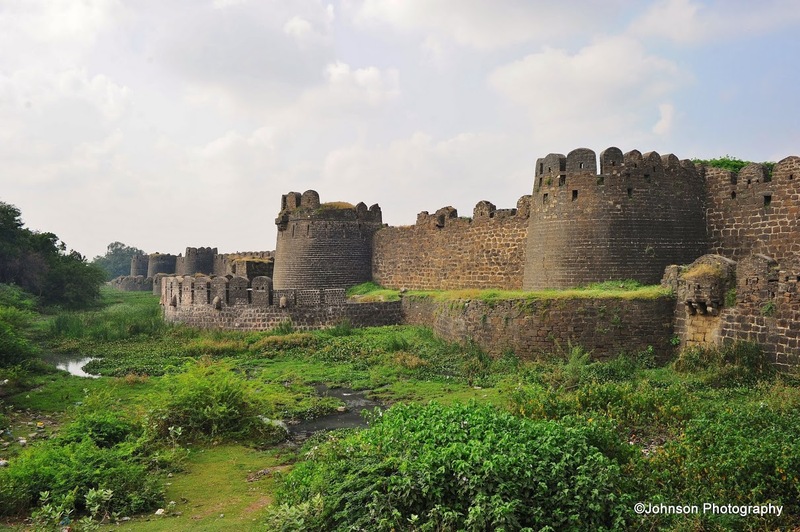 The fort was strengthened with heavy fortification by Alauddin Hasan Bahman Shah, the ruler of the Bahmani dynasty. 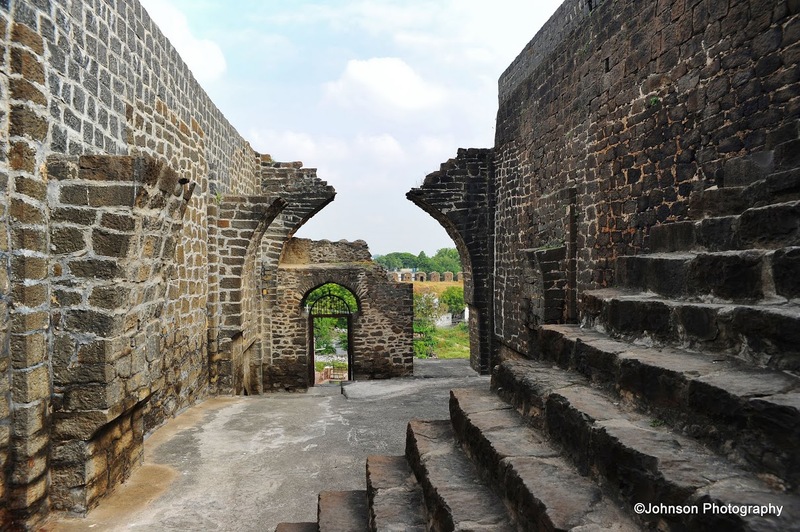 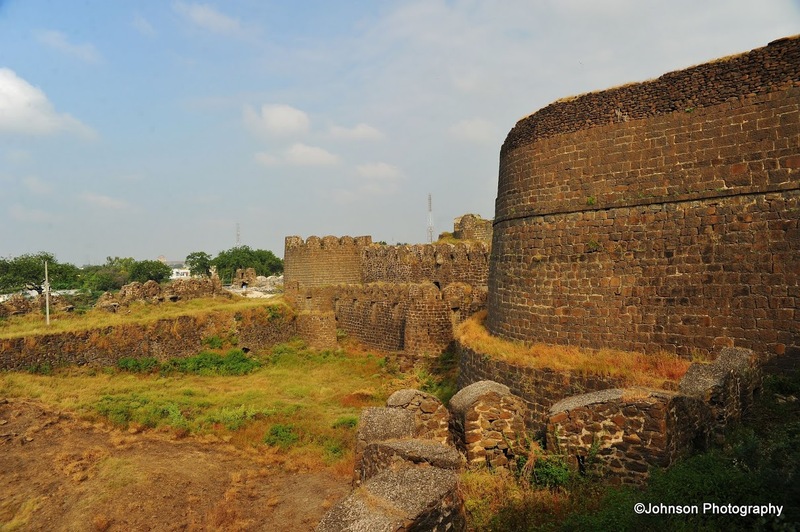 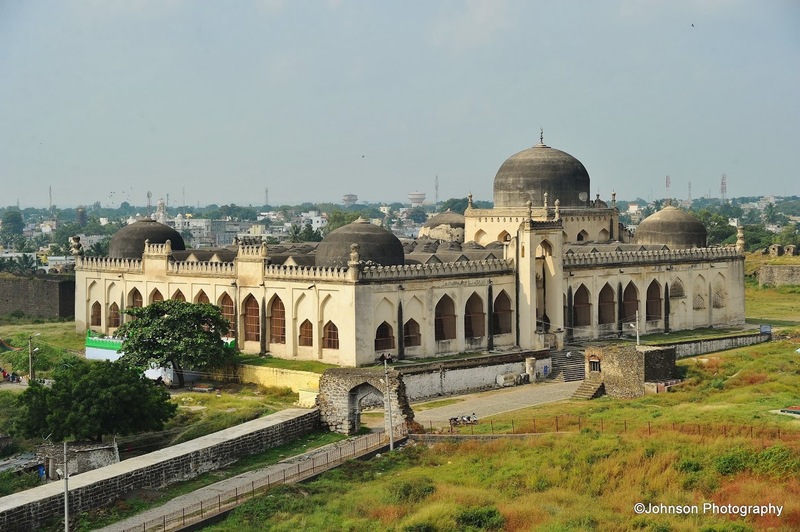 Gulbarga was the capital of the Bahmani Kingdom from 1347 to 1424 AD with its headquarters at Gulbarga fort. 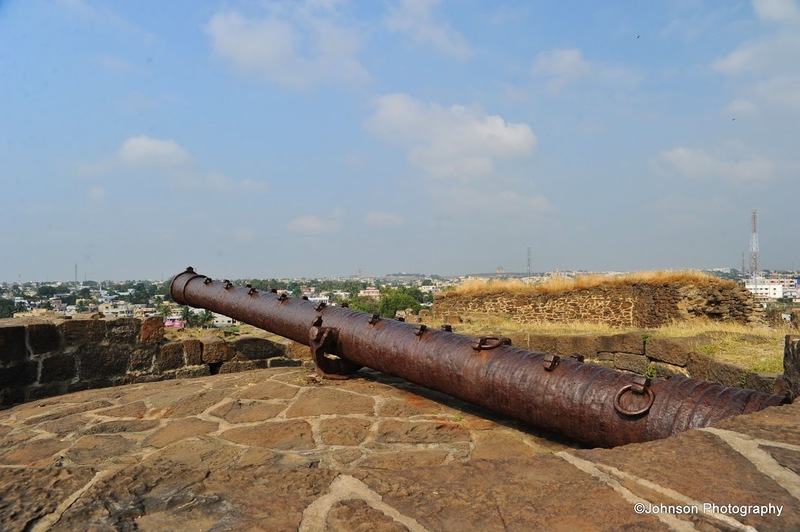 In the year 1434 AD the capital was transferred to Bidar. 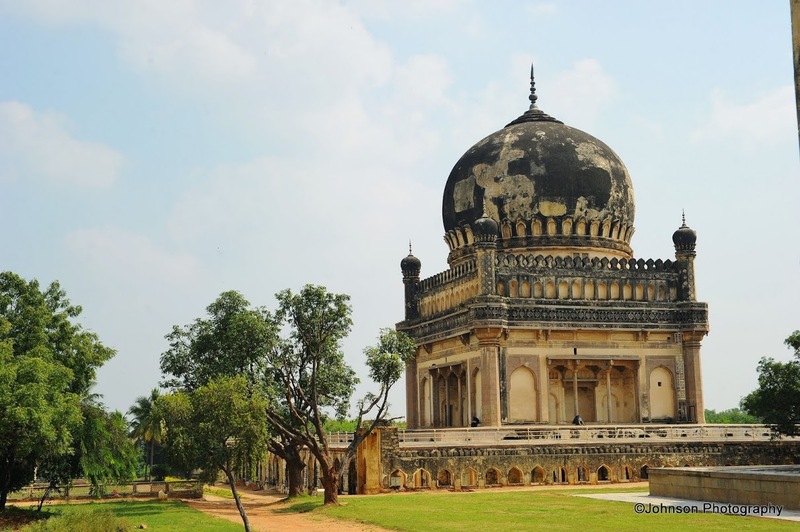 It is said that with the establishment of the Bahmani Kingdom, the Muslim rule took firm roots in the Deccan. 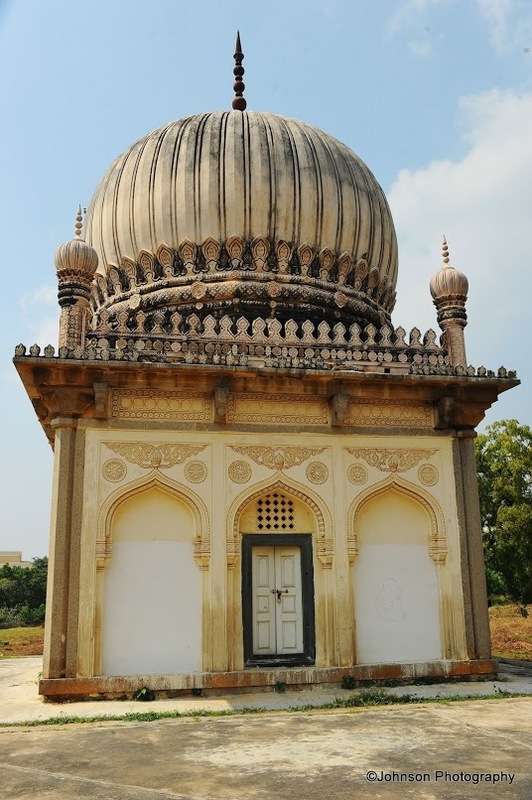 The Bahmani Sultans facilitated the immigrants from Iraq, Iran and Central Asia which changed the socio-cultural and religious life in the Deccan but was well amalgamated with Hindu traditions. 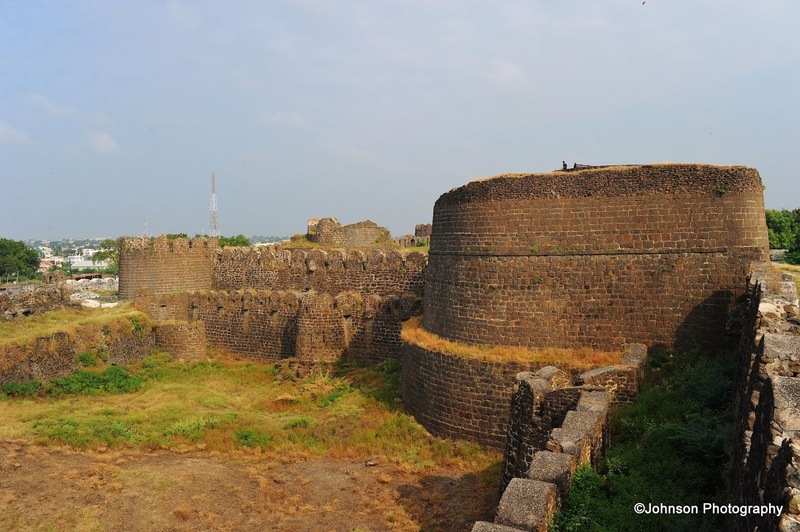 The fort was surrounded by a 30 feet wide moat and double fortification. 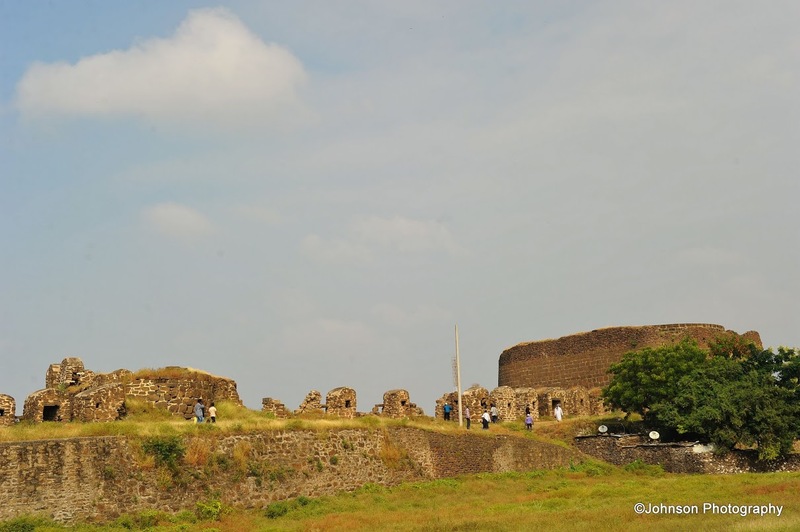 A citadel was made in the center of the fort. 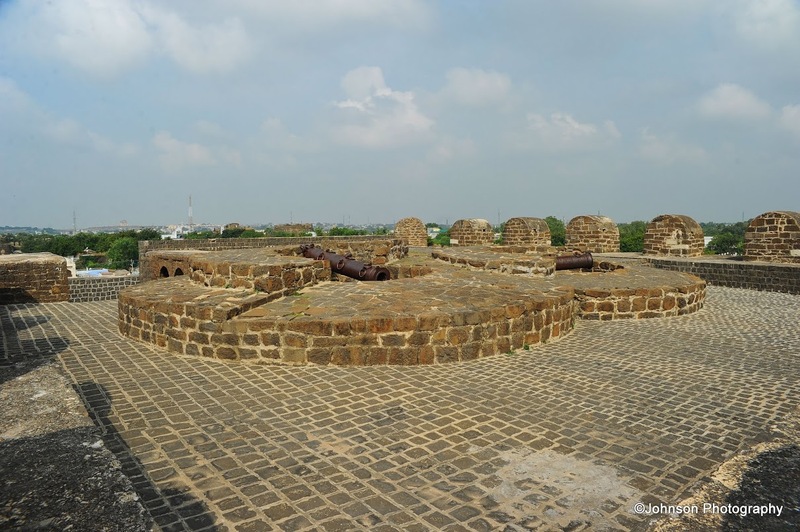 This monumental structure was surrounded by 15 ramparts from inside with 26 cannons, some which are 8 meters long and is still well preserved. 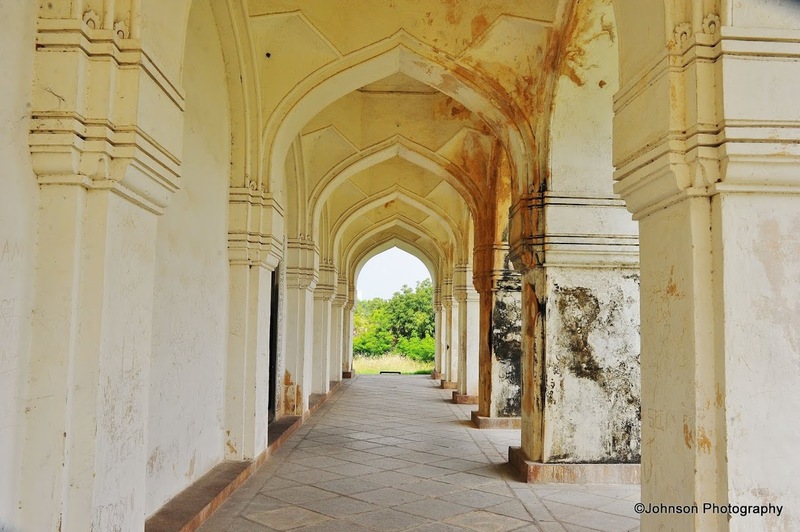 The Jami Masjid is the most impressive structure inside the fort. 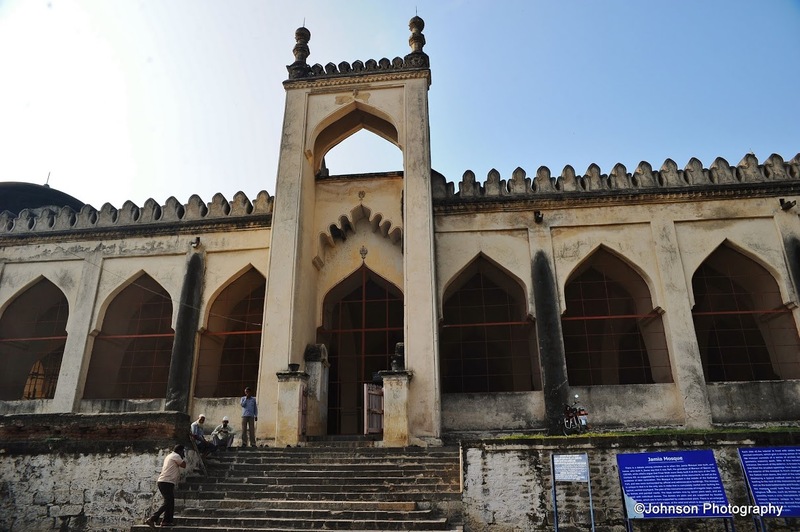 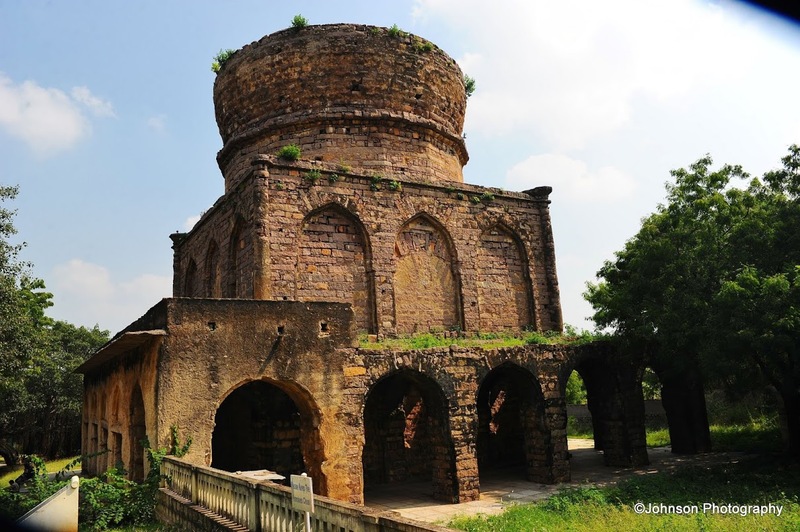 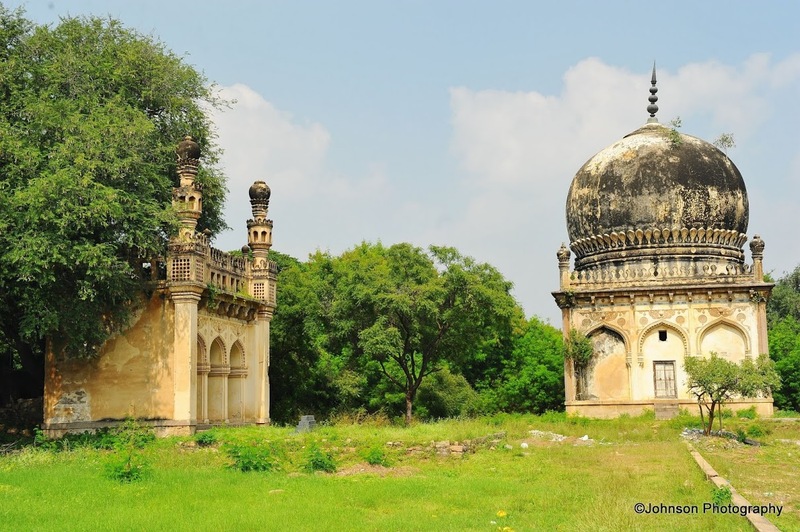 It was built by Muhammad Shah I to commemorate Gulbarga as the capital of the Bahmini Sultanate. 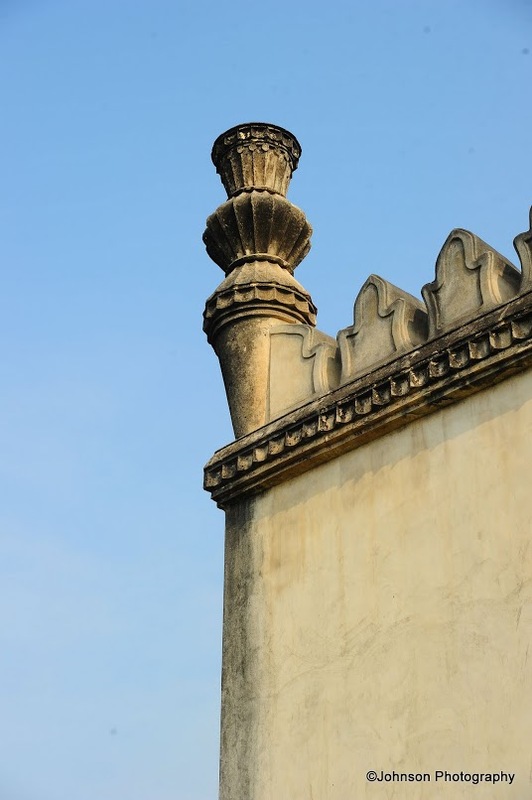 The Masjid was designed in line with the Great Mosque of Cordoba in Spain by a Moorish architect. 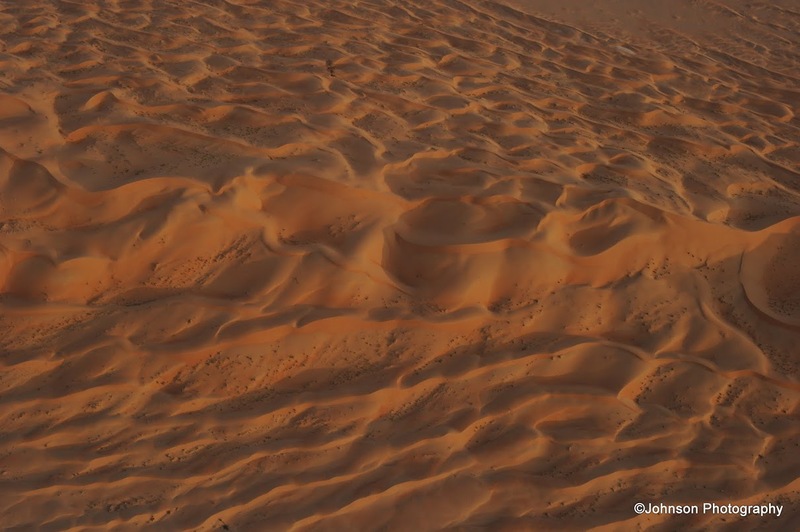 It has a dimension of 216 x 176 feet. 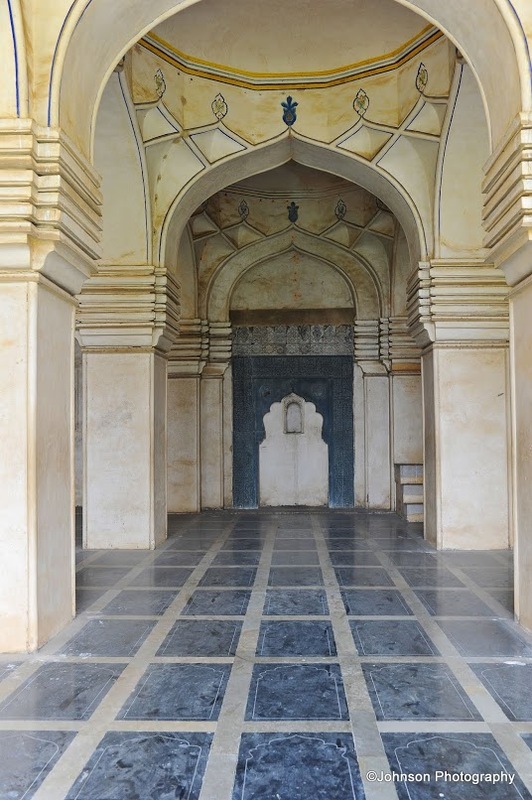 The mosque has no open courtyard. 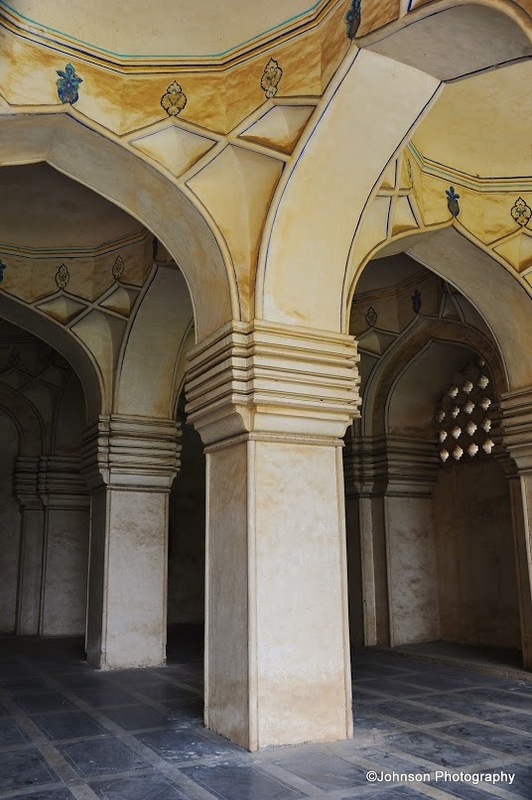 The outer passageways surround the prayer hall on three sides and have low open arcades with arches. 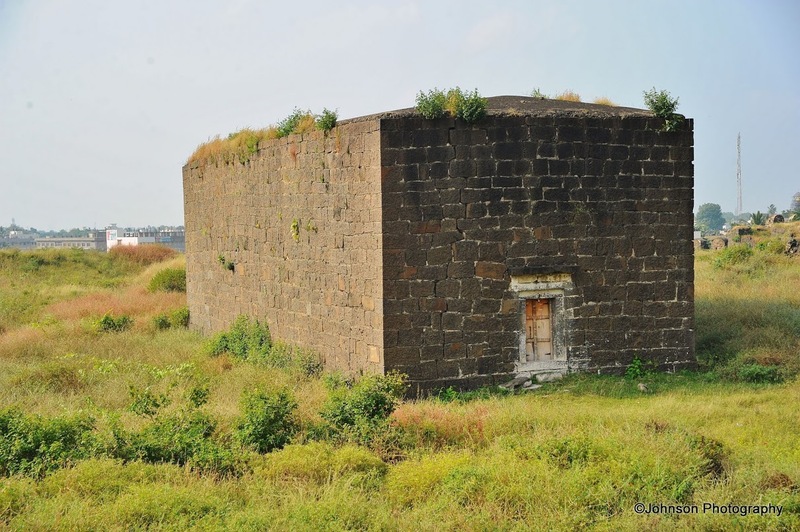 They form a rectangular layout with ten bays each on the north and the south and seven bays on the east. 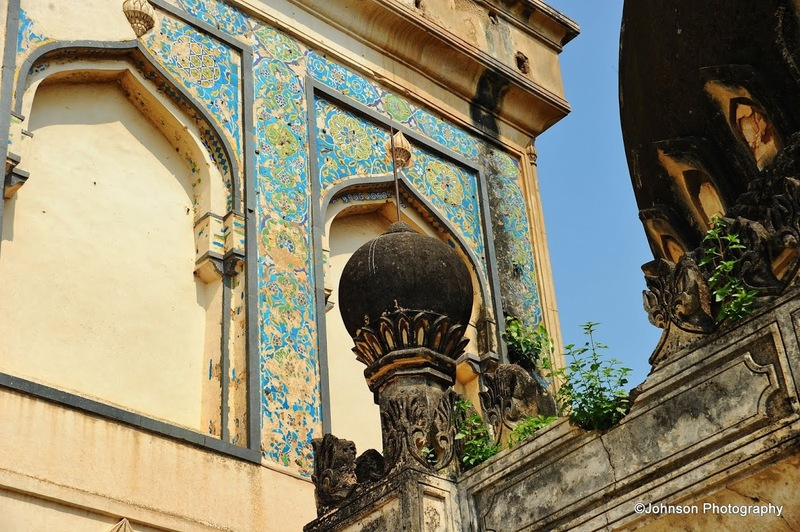 It is an excellent example of Bahmani architectural style a combination of Persian, Moorish and Indian styles. 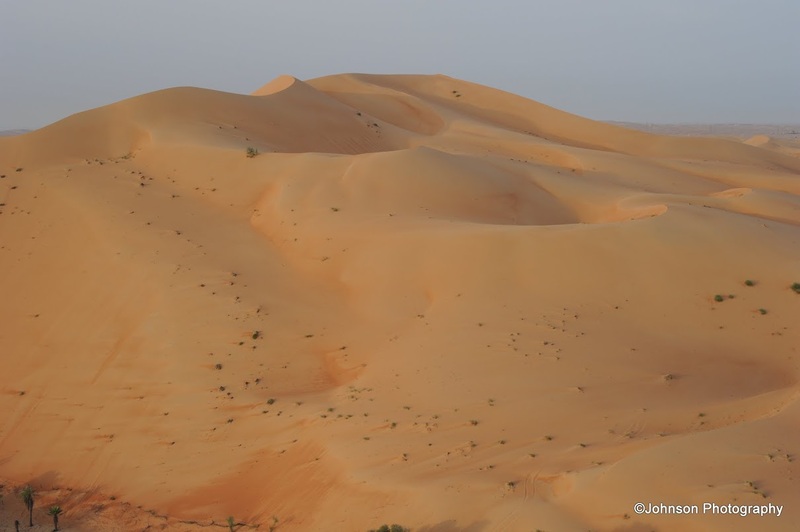 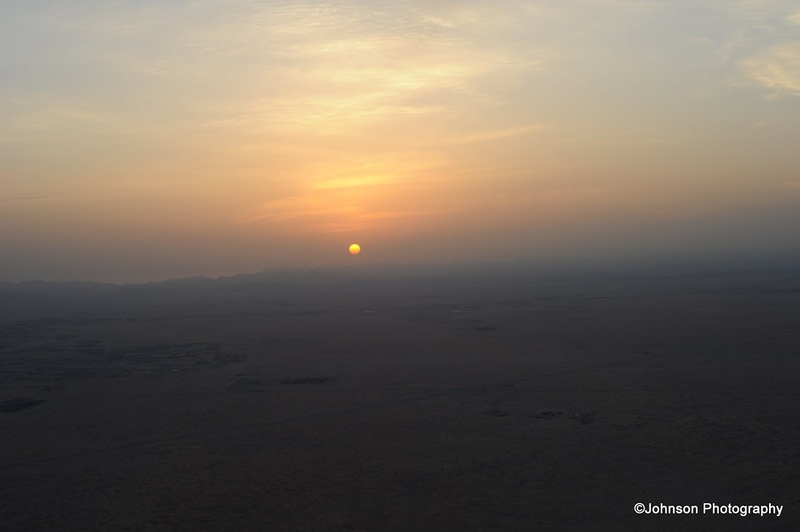 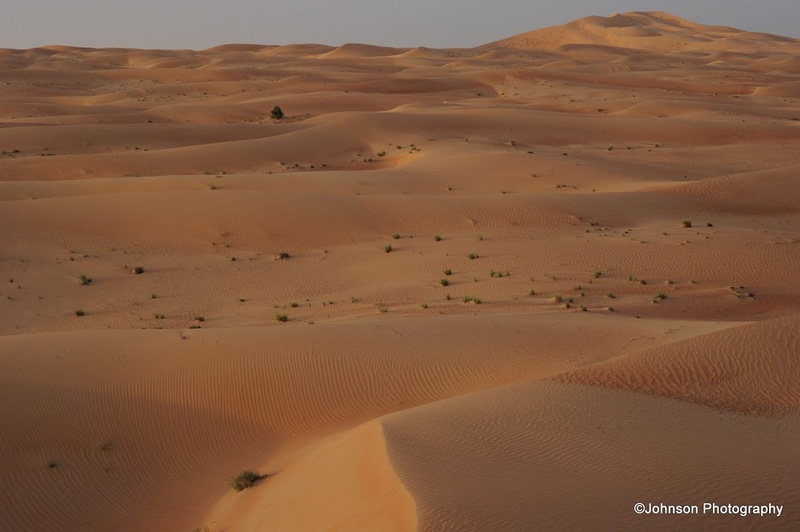 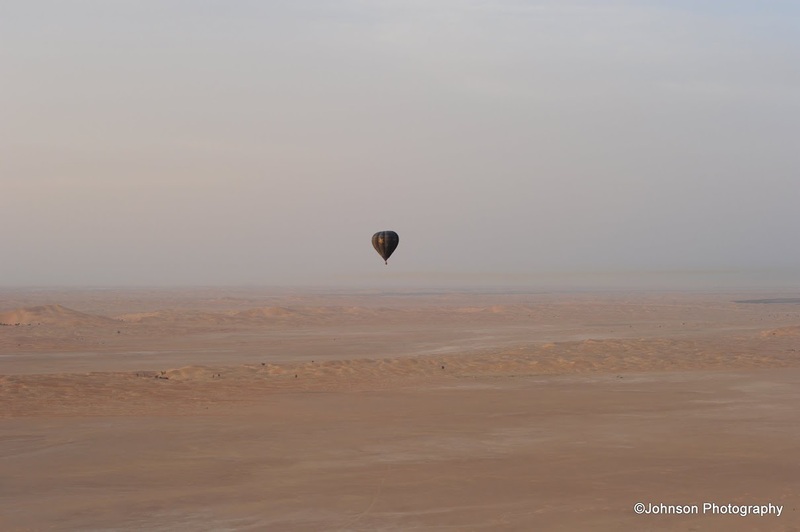 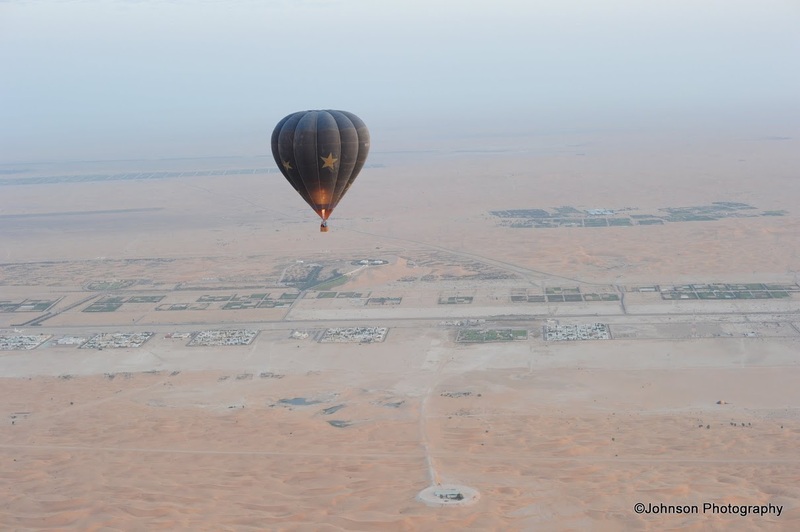 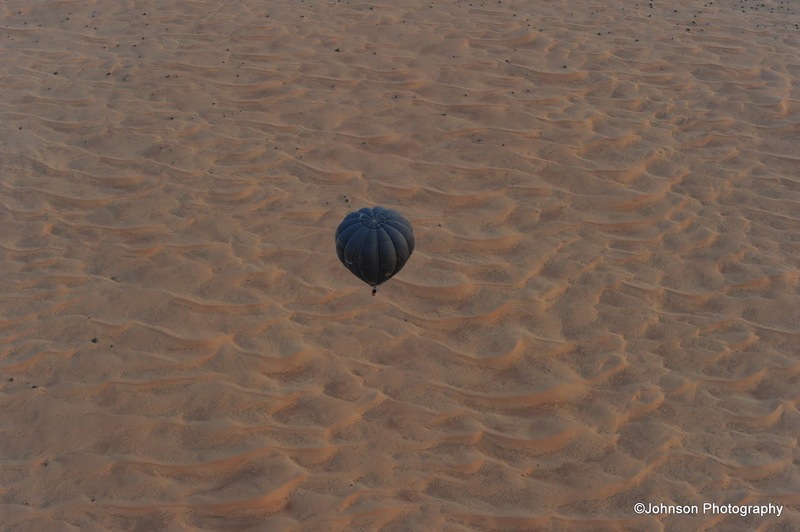 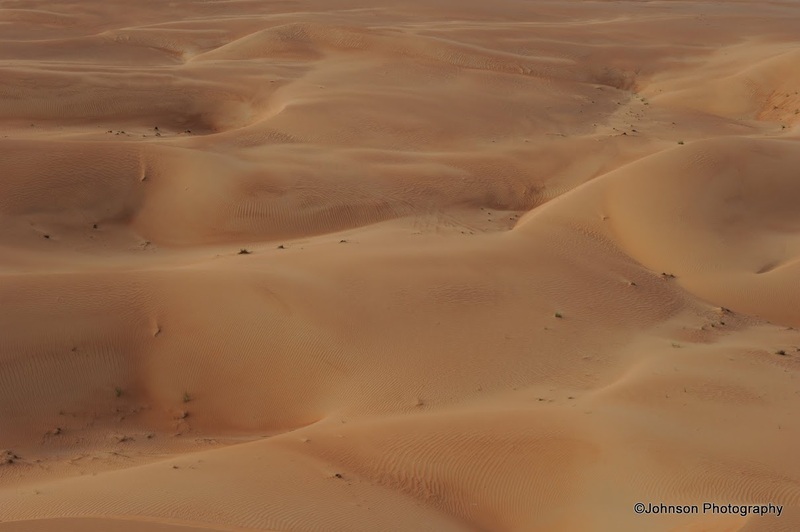 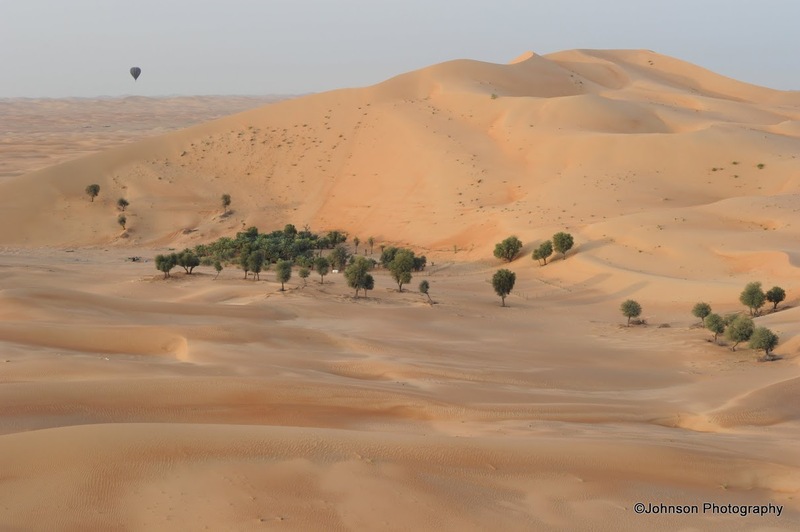 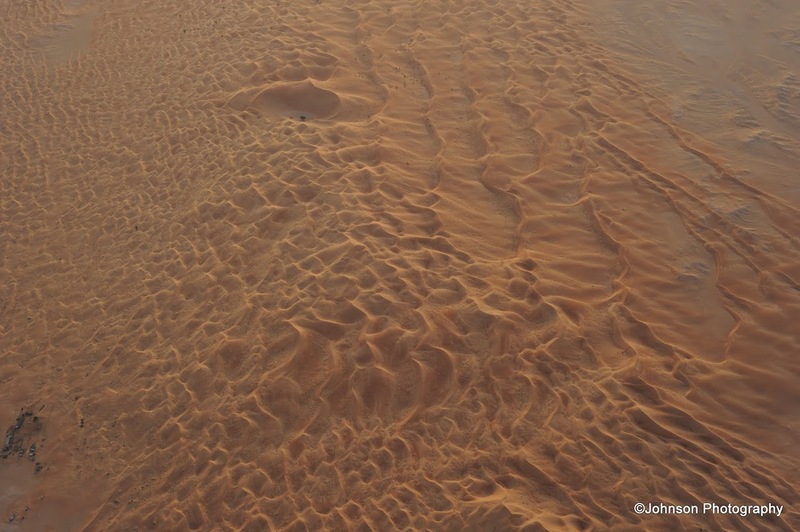 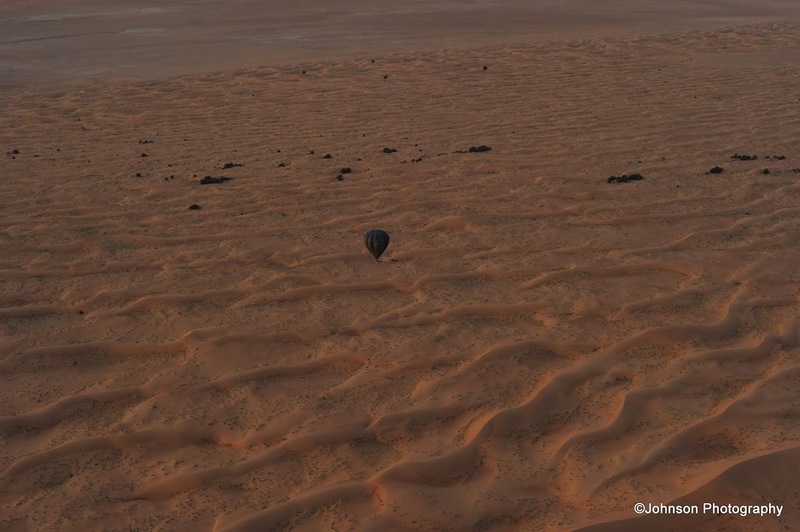 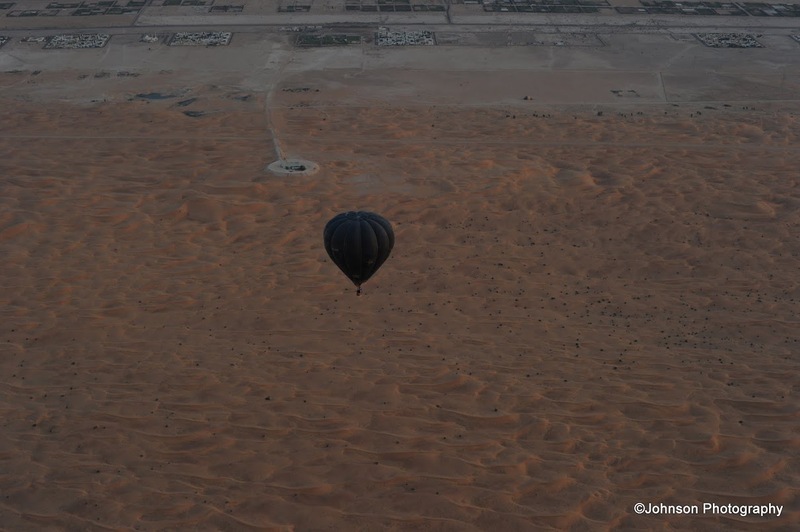 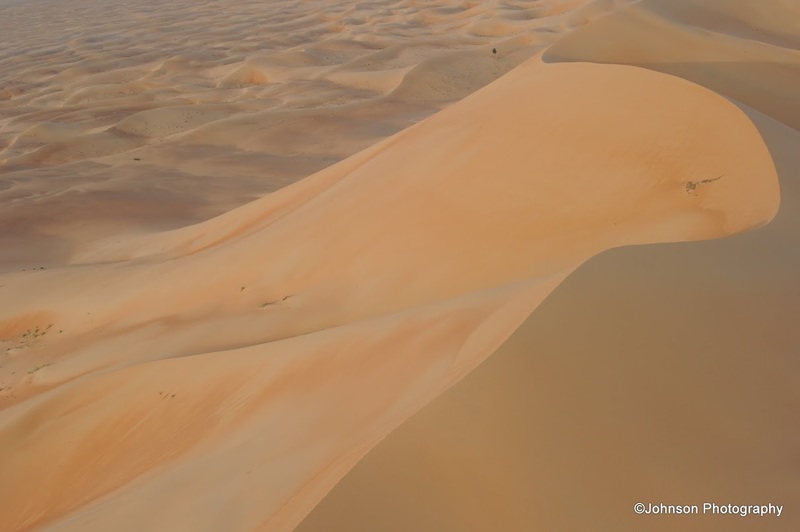 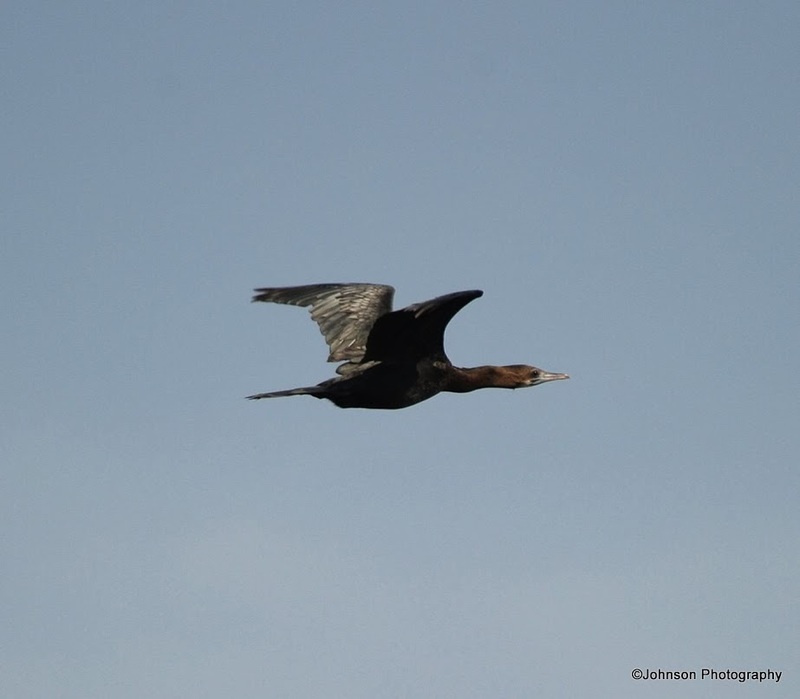 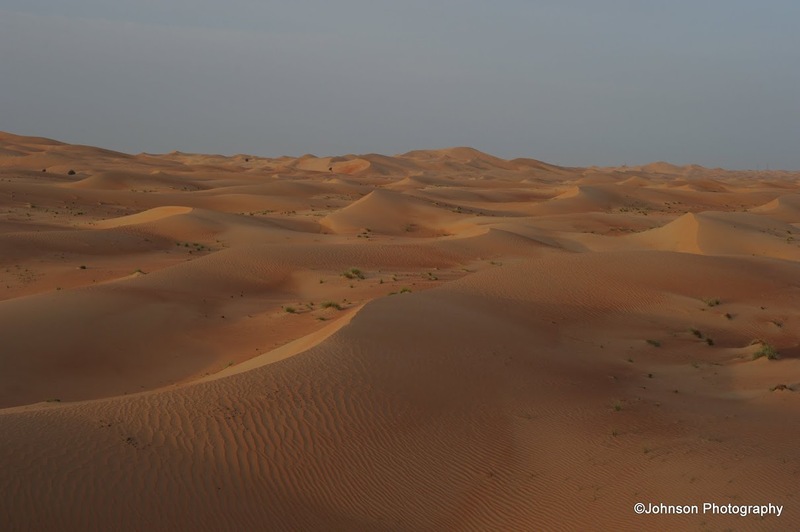 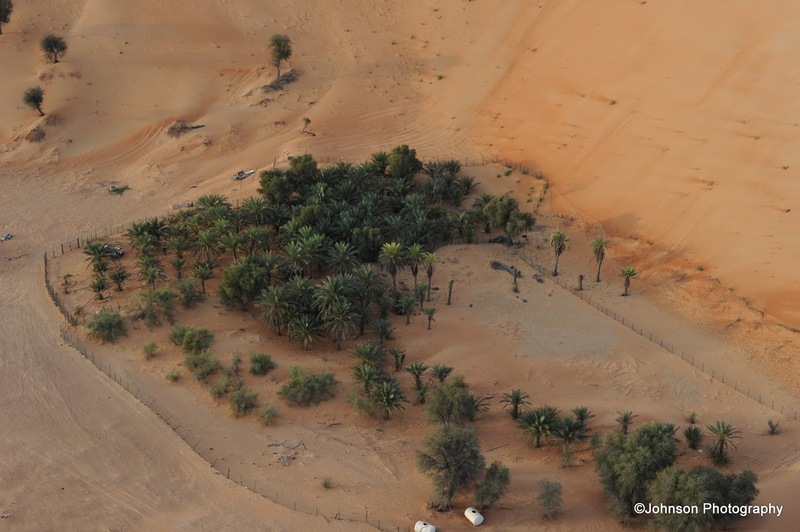 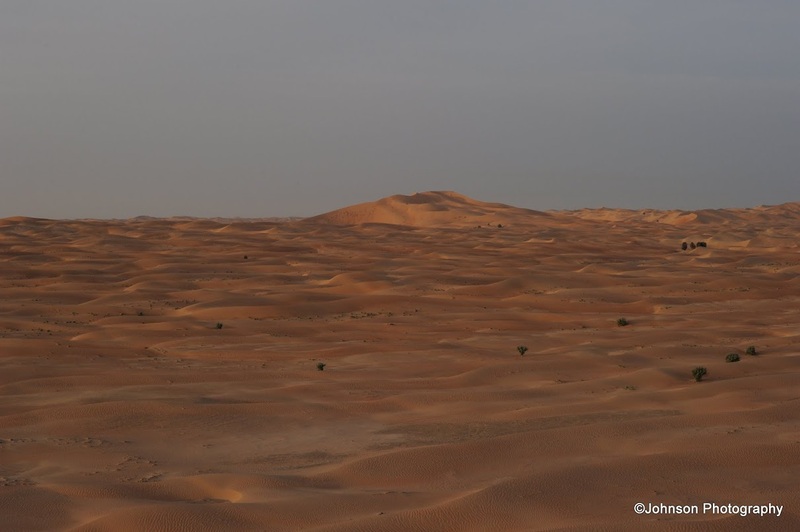 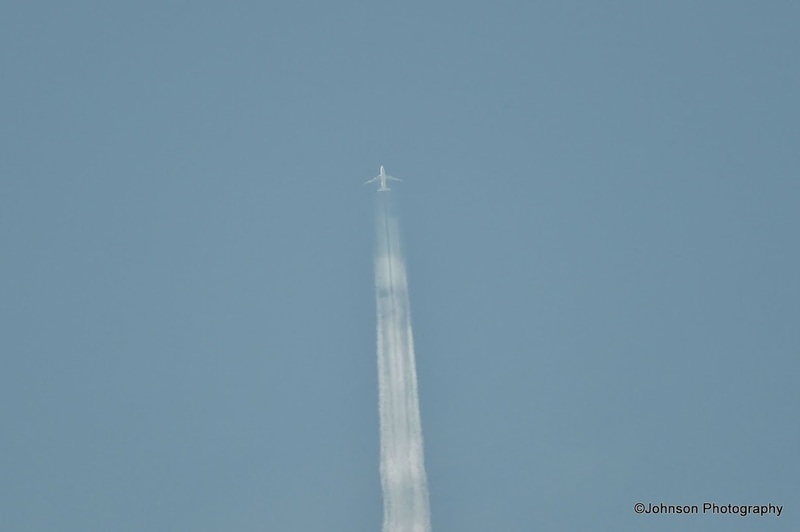 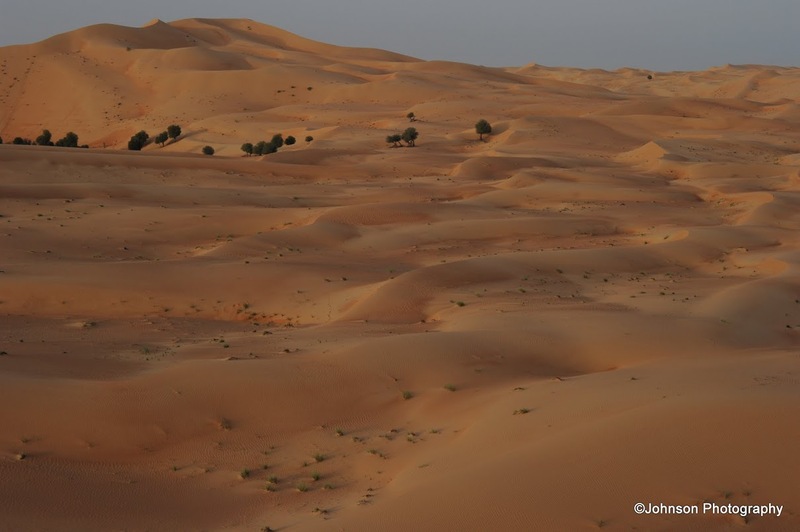 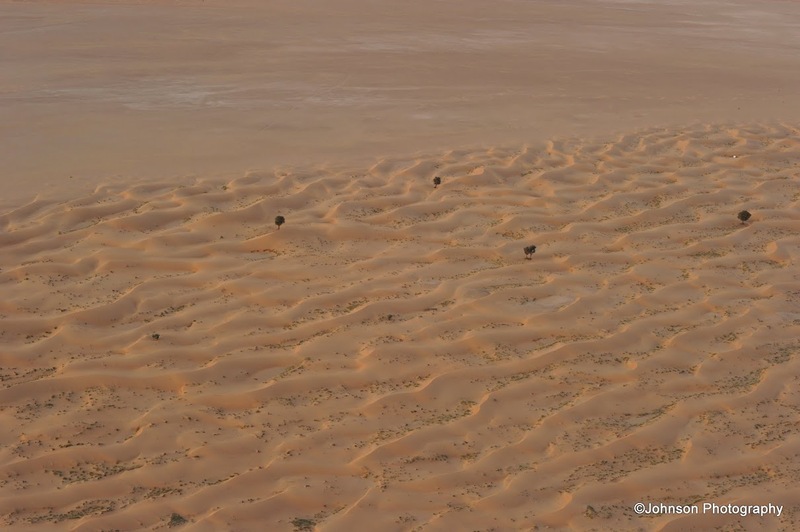 These pictures were shot from a balloon (such as the one seen in the photos below), during a balloon flight over the deserts near Al Ain in the United Arab Emirates. 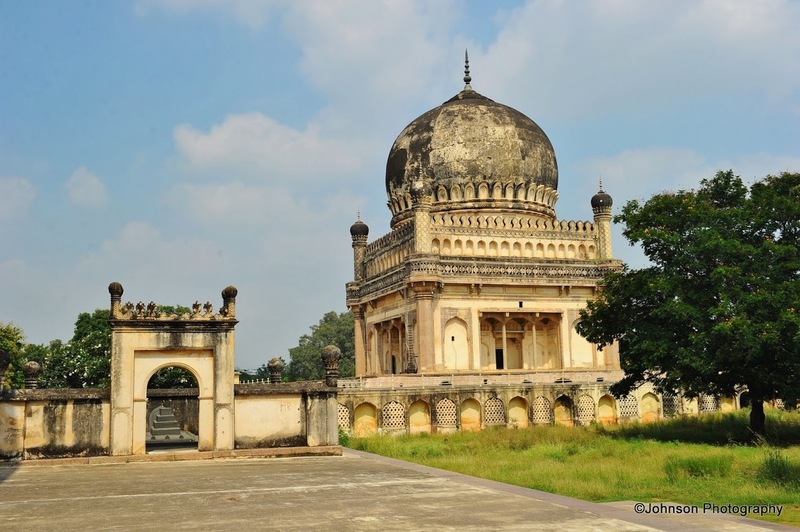 The Qutub Shahi Tombs are located in the Ibrahim Bagh, around 2 km from the main gate of the Golconda fort. 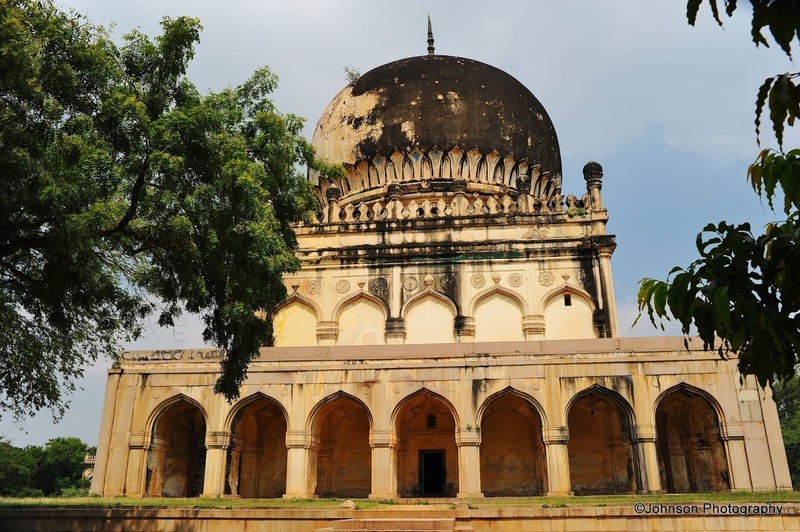 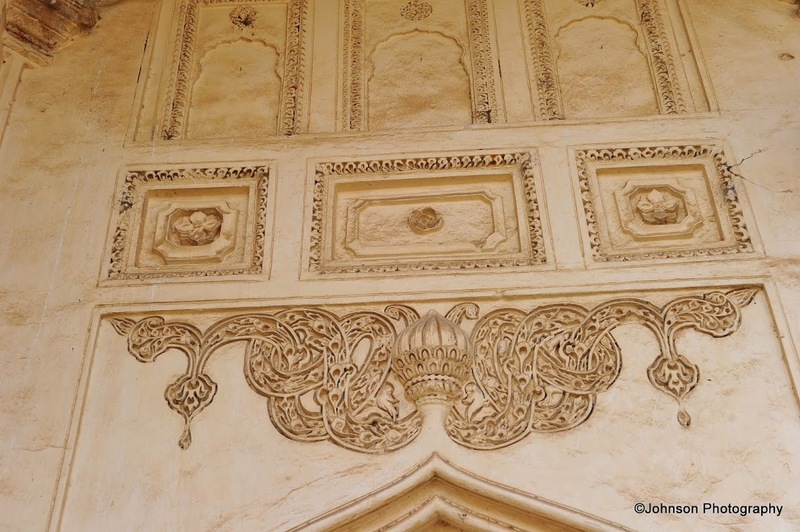 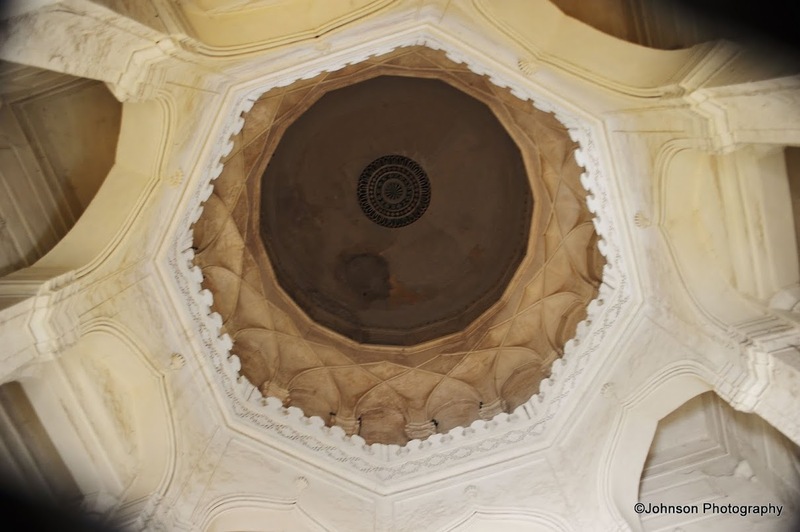 They contain the tombs and mosques built by various kings of the Qutub Shahi dynasty. 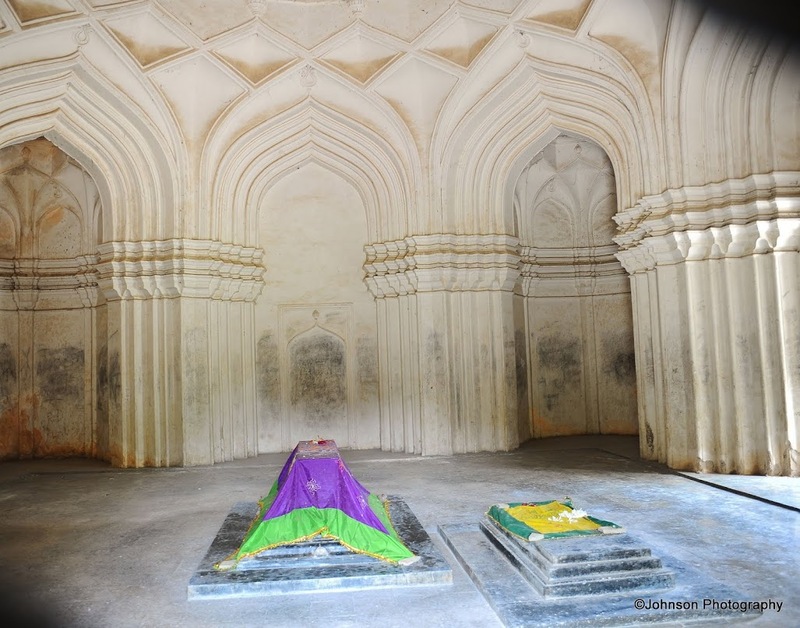 The galleries of the smaller tombs are of single storey while the larger ones are two storied. 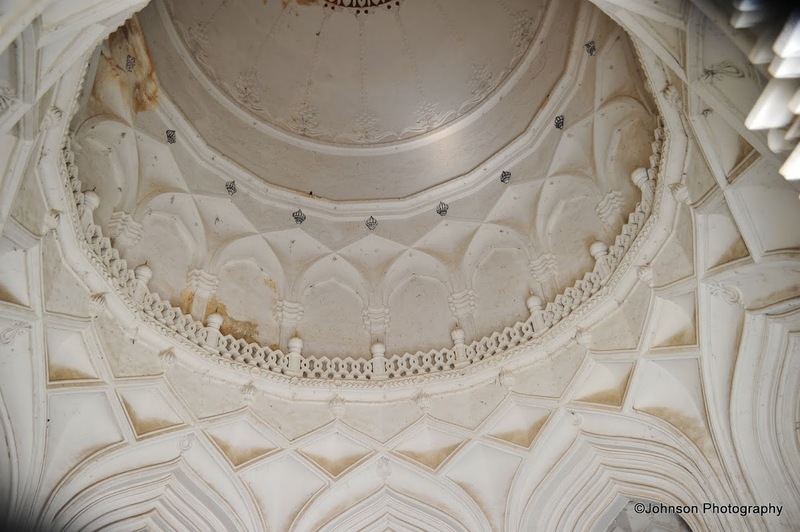 In the center of each tomb is a sarcophagus which overlies the actual burial vault in the below crypt. 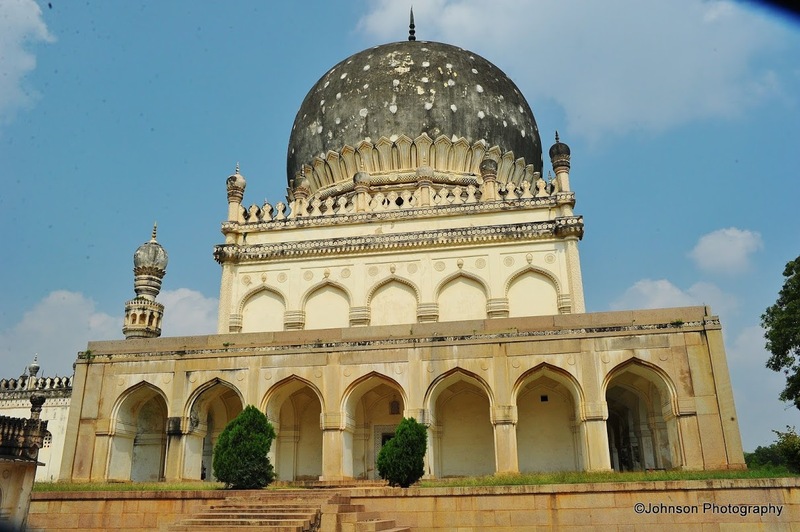 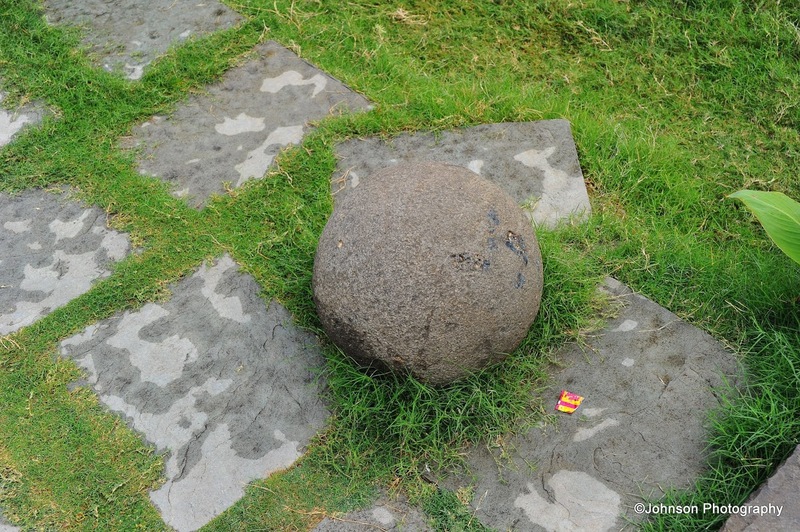 The domes were originally overlaid with blue and green tiles, of which only a few remain today. 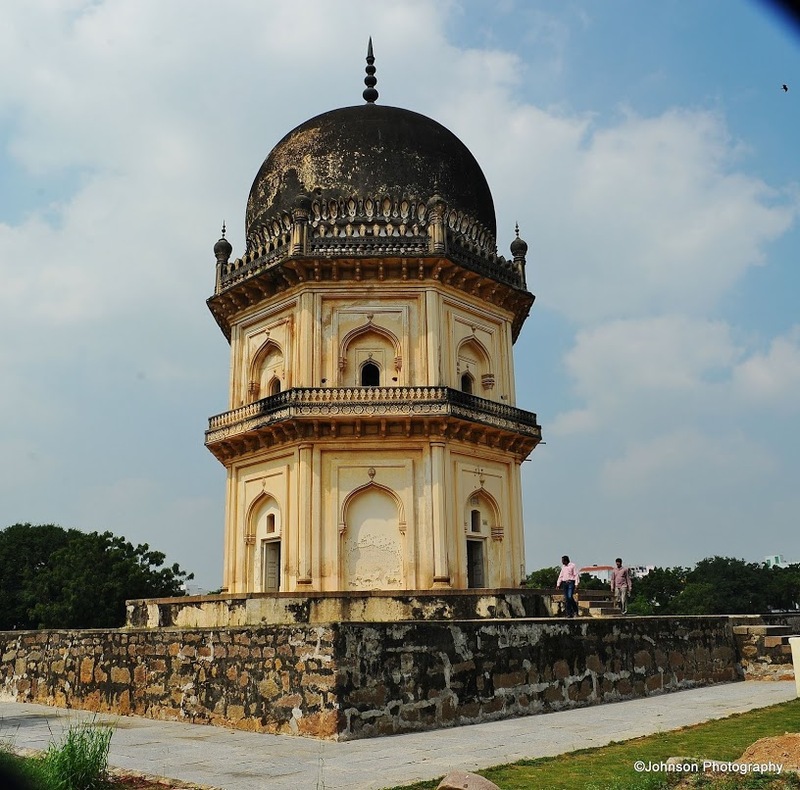 The tombs are domed structures built on a square base surrounded by pointed arches, a blend of Persian, Pashtun and Hindu styles. 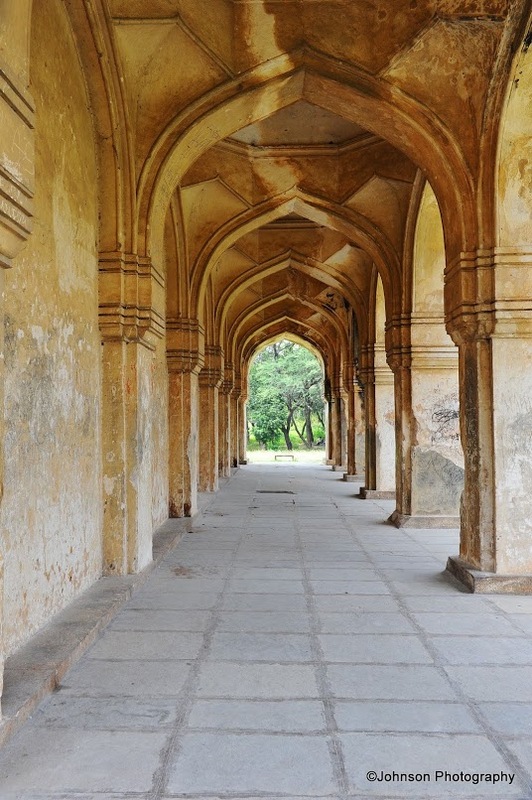 They are structures with intricately carved stonework and are surrounded by landscaped gardens. 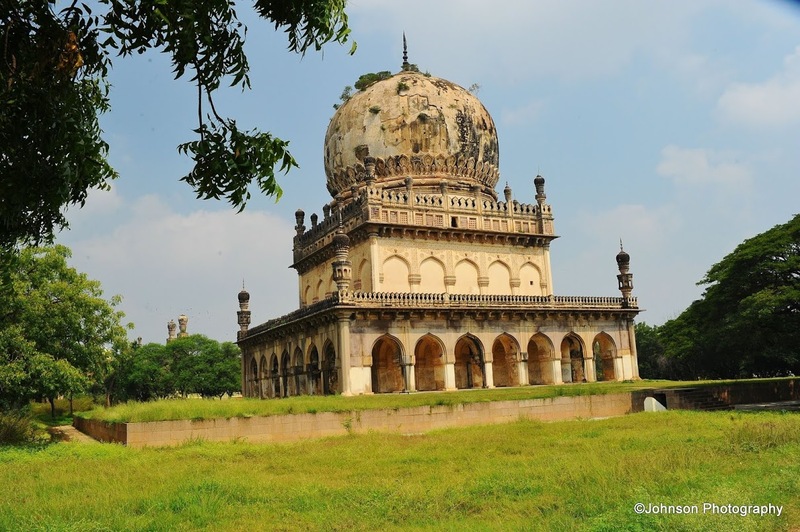 The tombs were once furnished with carpets, chandeliers and velvet canopies on silver poles. 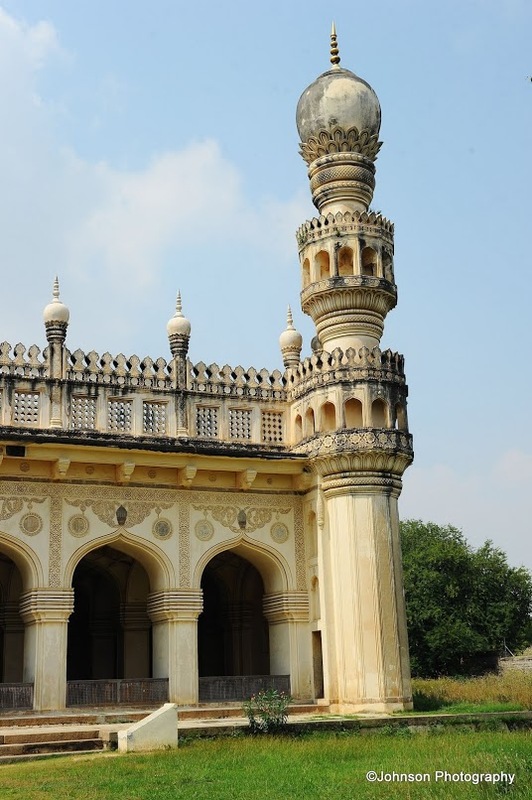 Golden spires were fitted over tombs of the Sultans to distinguish their tombs from those of other members of the royal family. 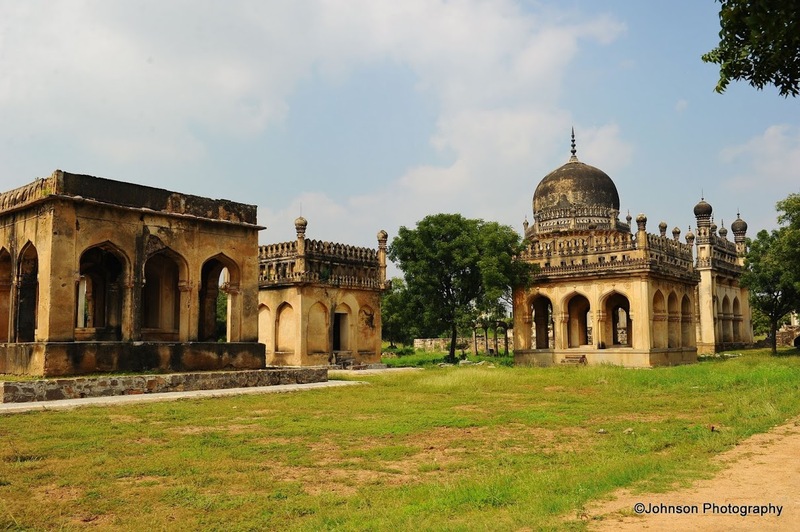 During the Qutub Shahi period these tombs were held in great veneration. 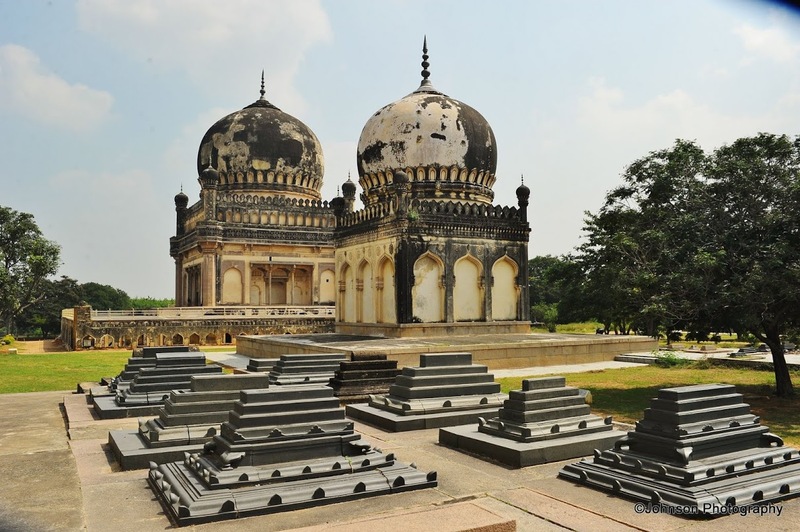 But after their fall, the tombs were neglected until Salar Jung III ordered their restoration in the early 19th century. 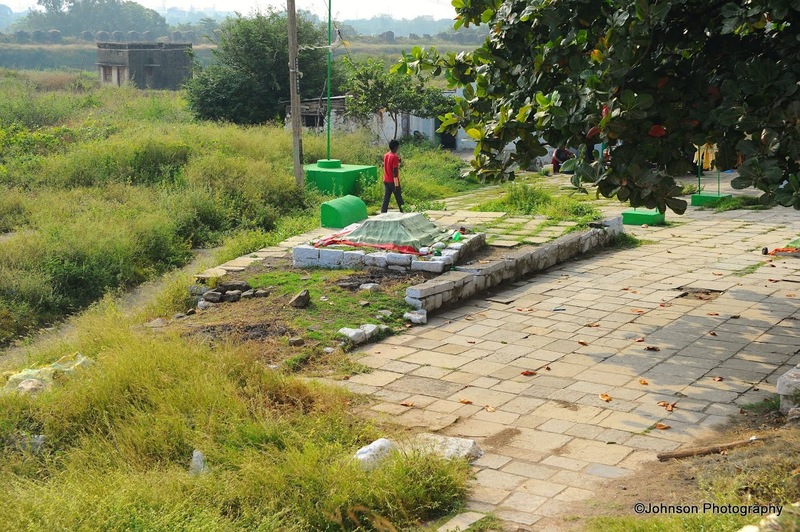 The garden was laid out and a compound wall was built. 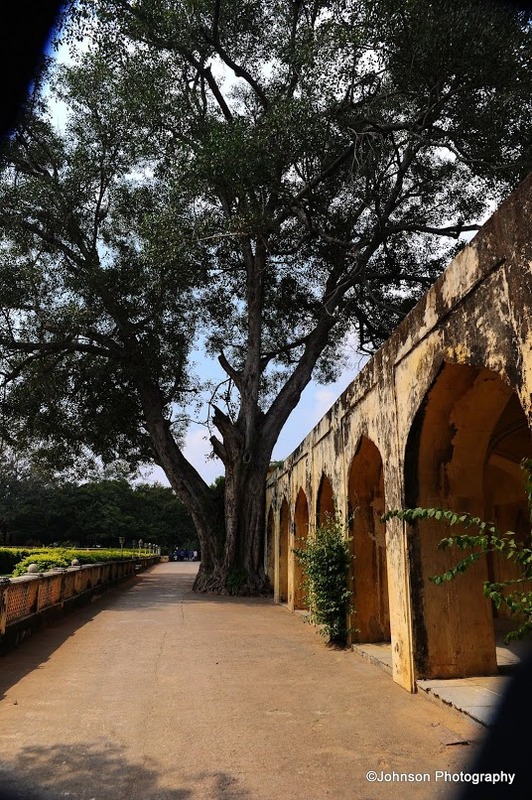 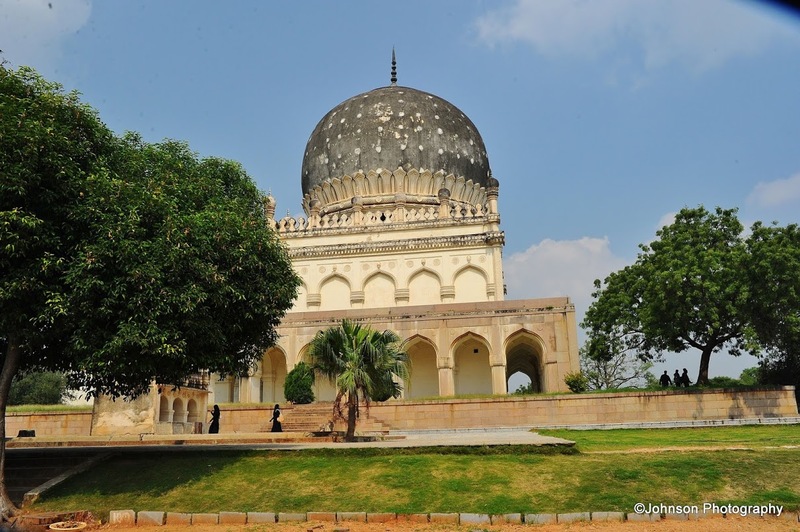 The tomb garden of the Sultans of Golkonda was known as Lagar-e-Faiz Athar (the place for bountiful entertainment) in the days of the Qutub Shahi rulers. 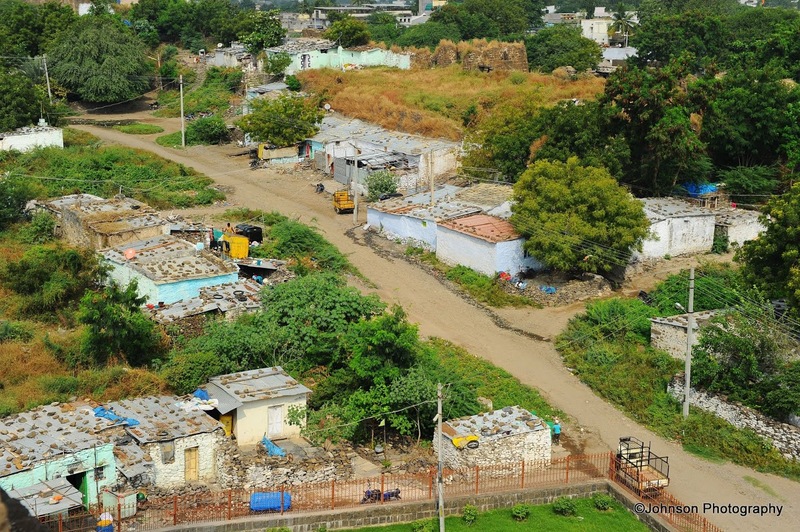 Occasionally there used to be some item song, dance or play staged here in the evenings, free of cost to entertain the poor. 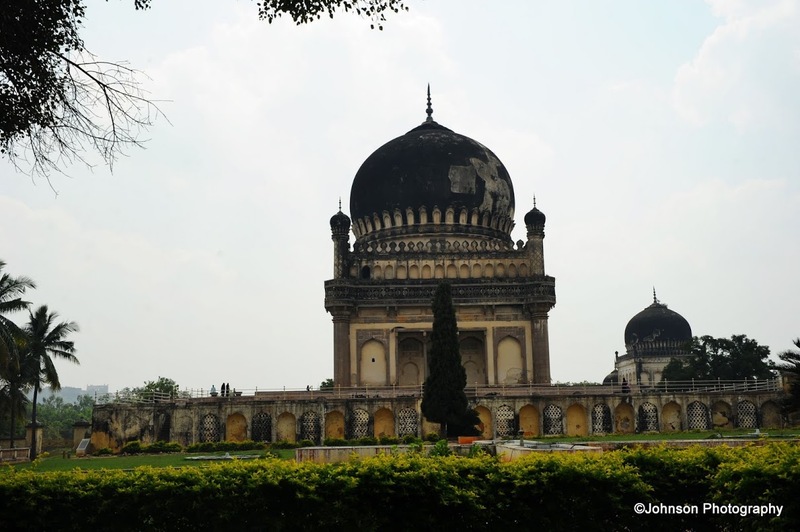 Almost every tomb has a mosque adjacent to it. 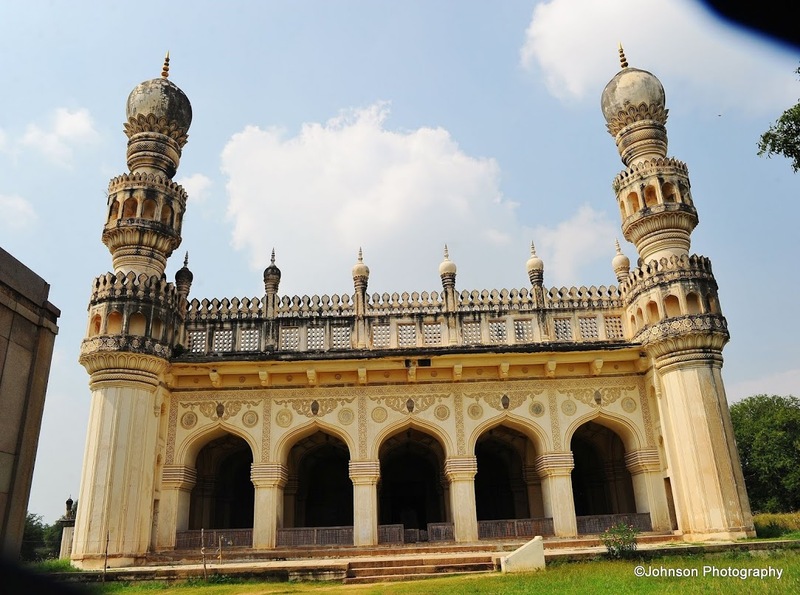 The biggest and the grandest mosque is the one adjacent to the mausoleum of Hayat Bakshi Begum, popularly known as the great mosque of the Golkonda tombs. 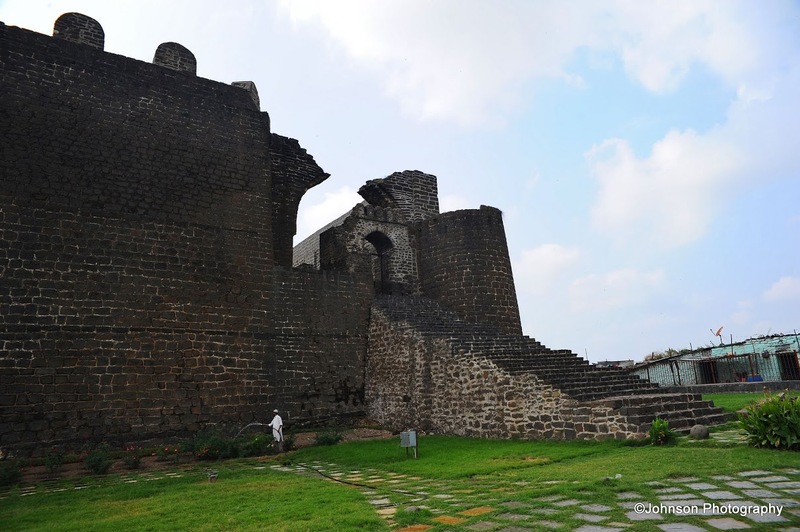 It was built in 1666 AD. 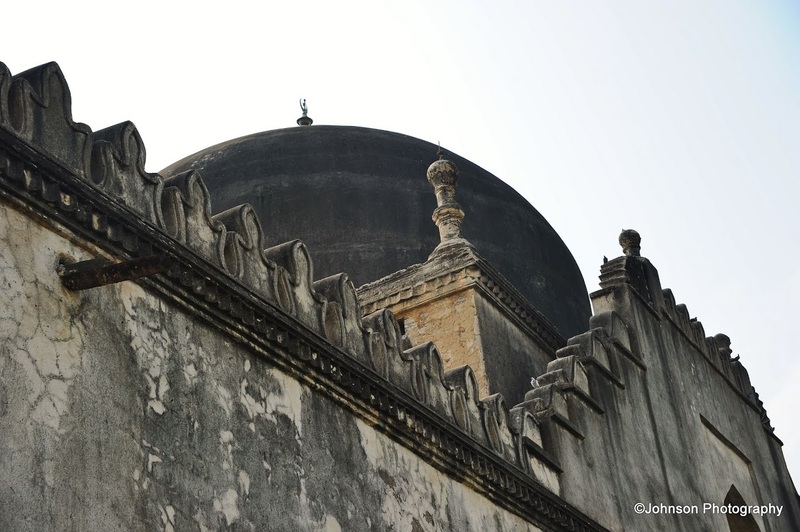 Fifteen cupolas decorate the roof and the prayer hall is flanked by two lofty minarets. 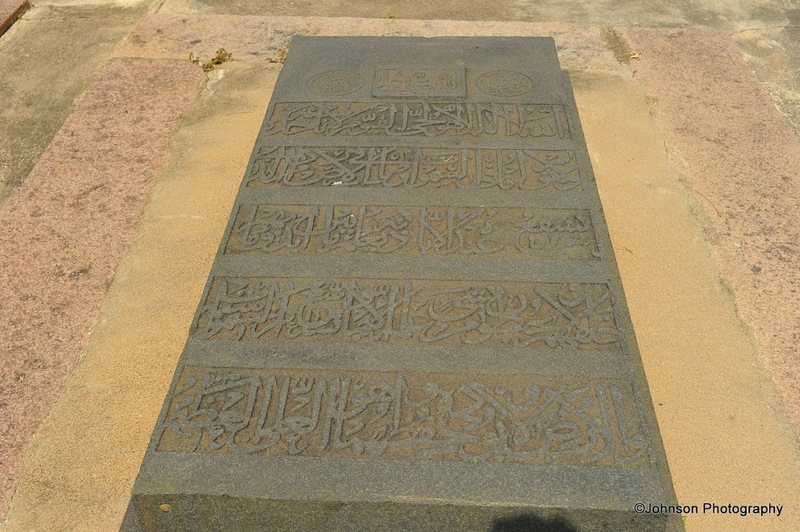 Hayat Bakshi Begum was the daughter of Muhammed Quli Qutub Shah, the fifth sultan, the wife of Sultan Muhammed Qutub Shah, the sixth sultan and the mother of Abdullah Qutub Shah, the seventh sultan. 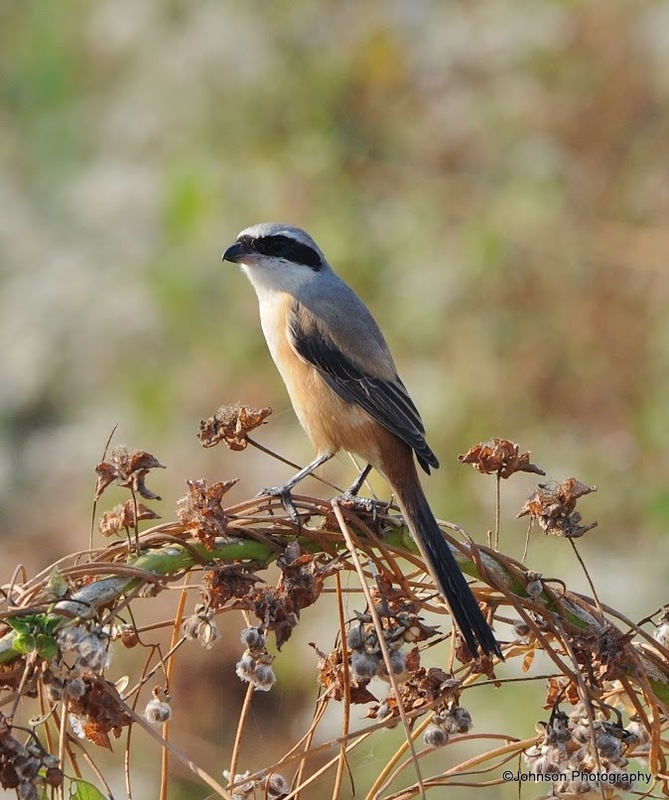 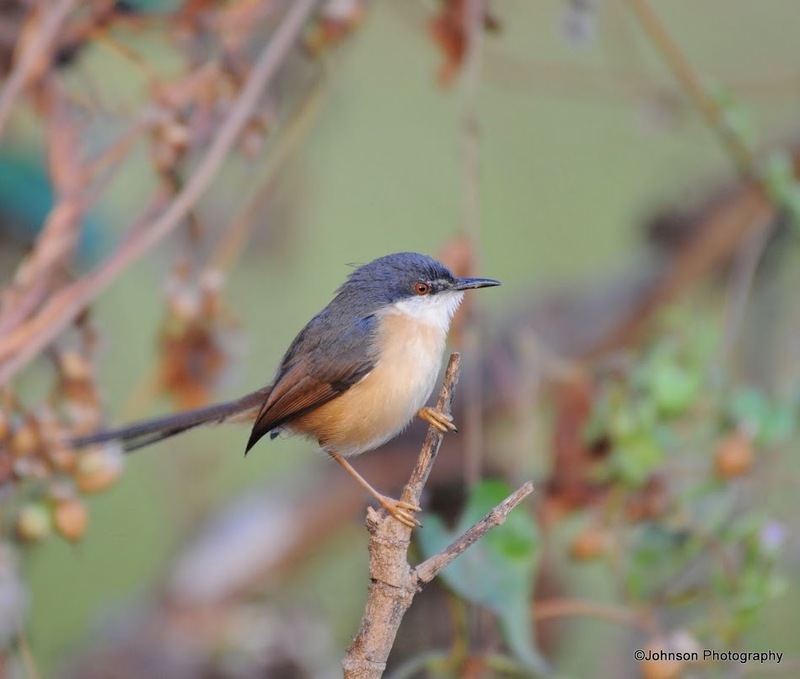 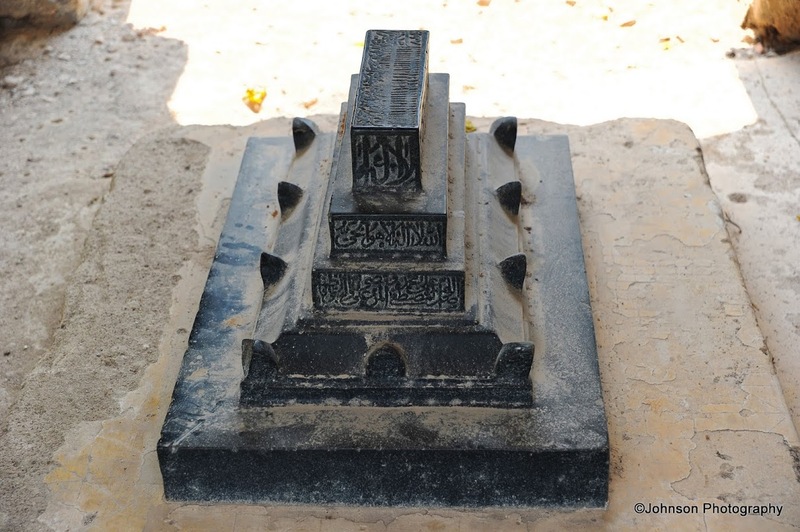 She was affectionately known as “Ma Saheba” (Revered Mother). 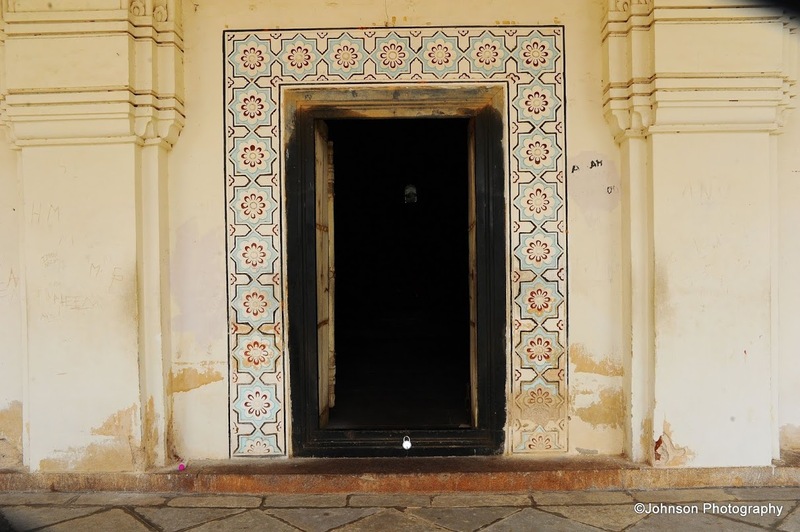 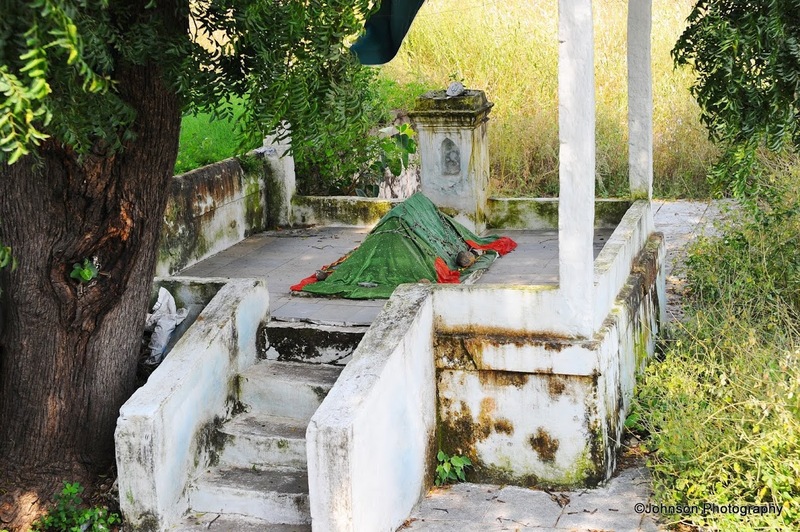 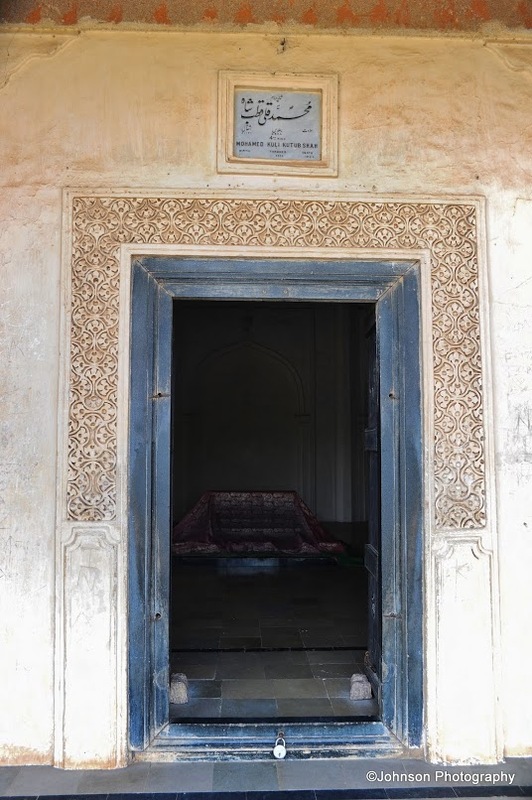 There is a mortuary bath, which was built by Sultan Quli to facilitate the ritual washing of the bodies of the dead kings and others of the royal family before they were carried to their final resting place. 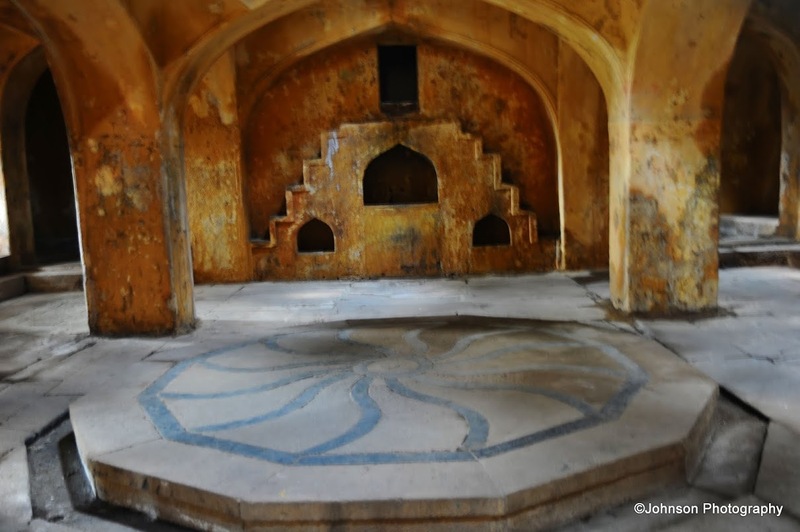 The bath is one of the finest existing specimens of ancient Persian or Turkish baths. 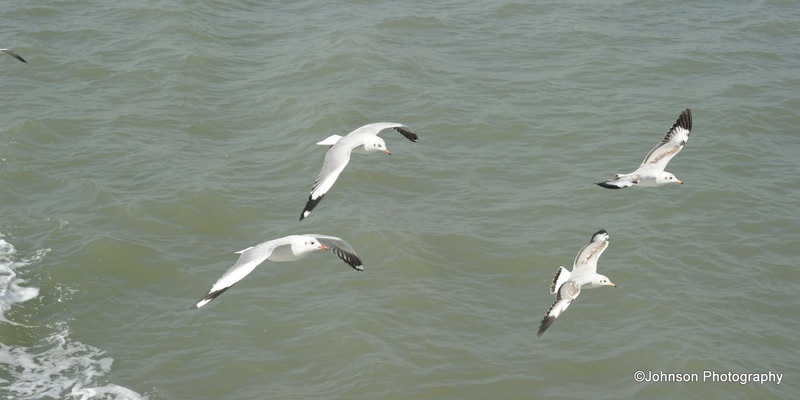 MaverickOnTheMove Create a free website or blog at WordPress.com.